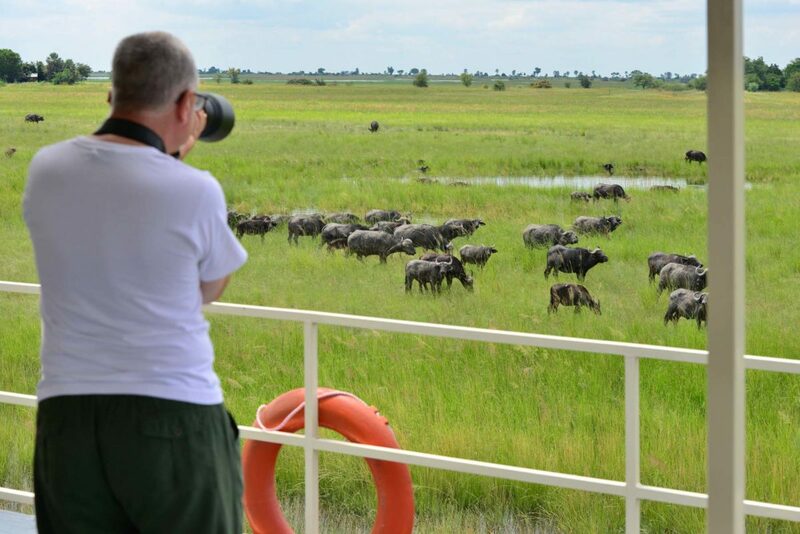 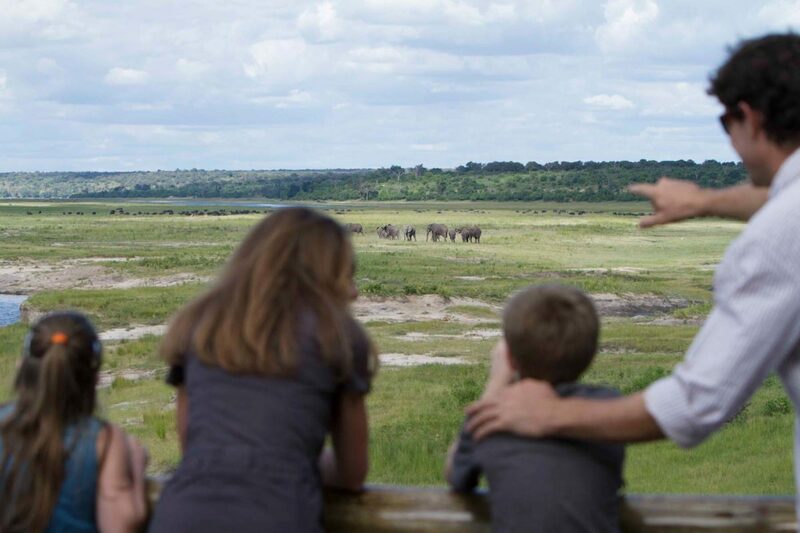 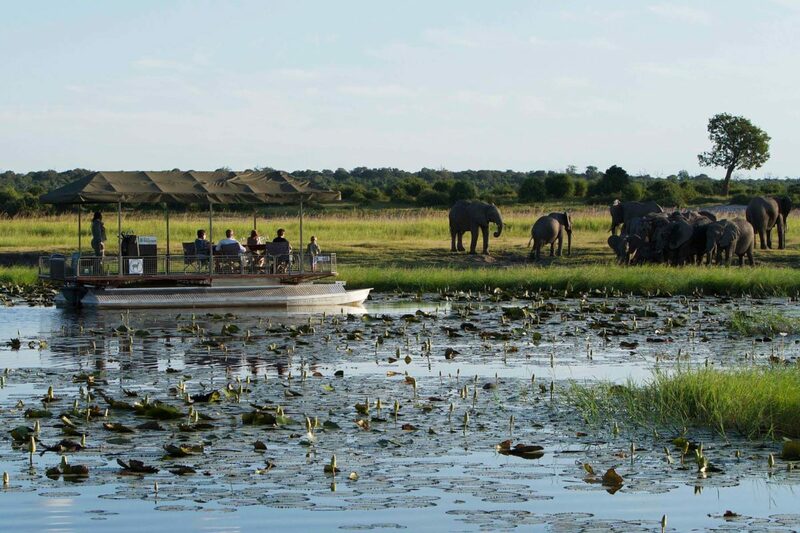 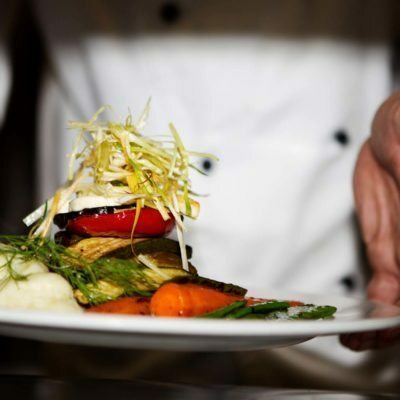 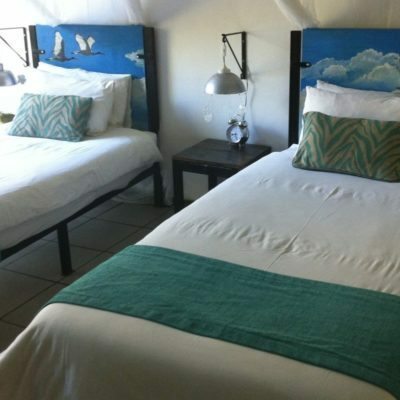 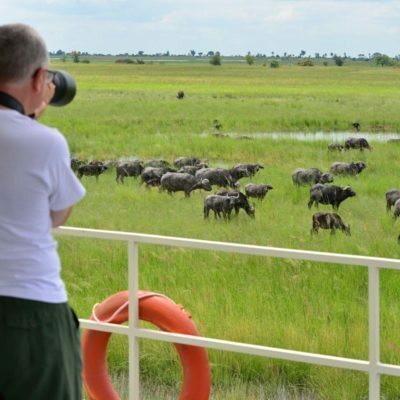 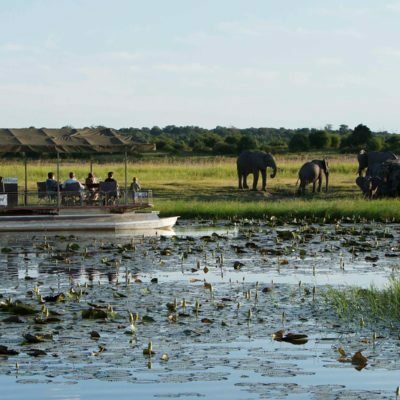 Chobe Elephant Camp (CEC) offers a no-frills Chobe experience for a decent price. 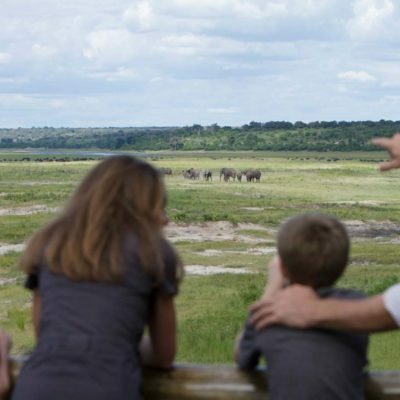 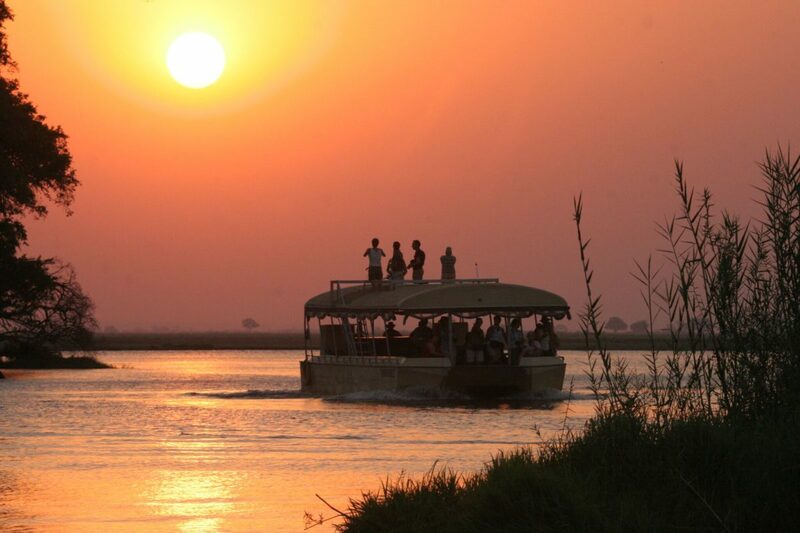 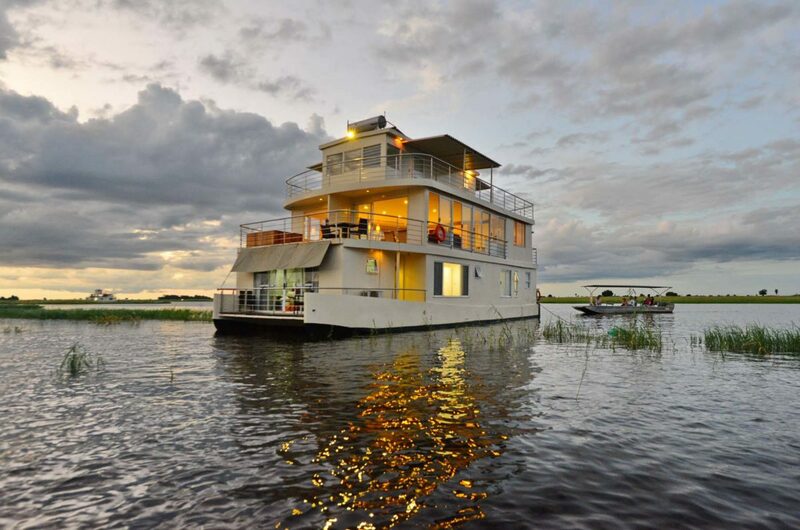 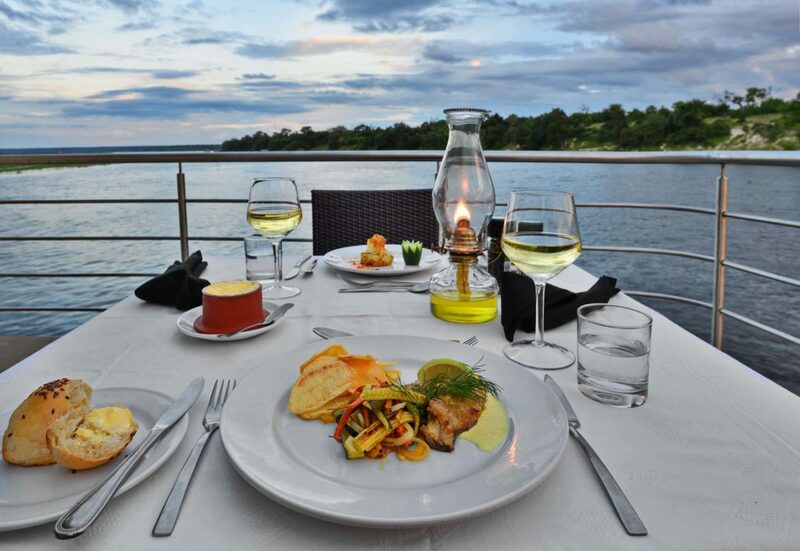 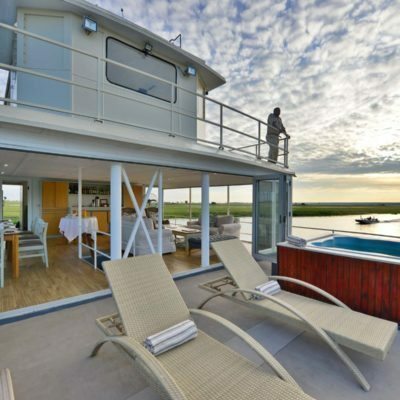 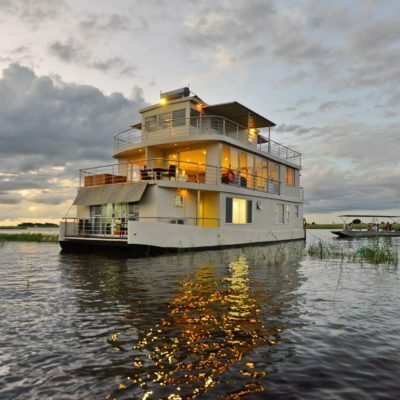 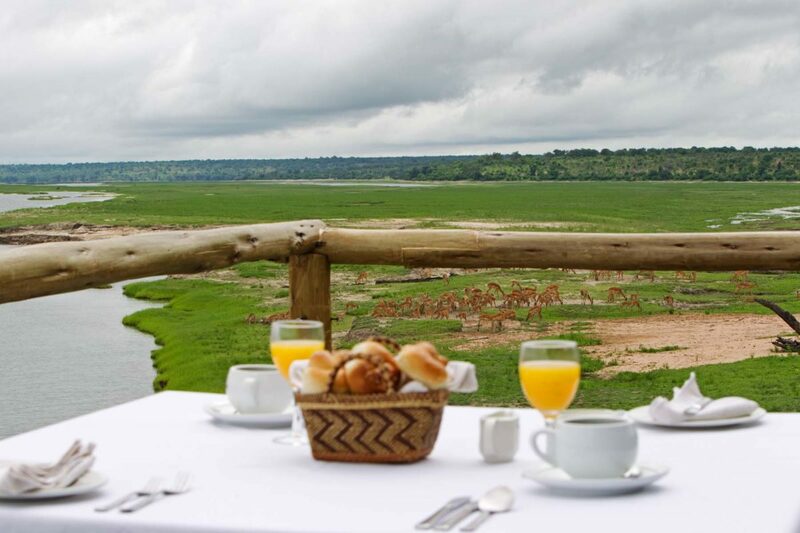 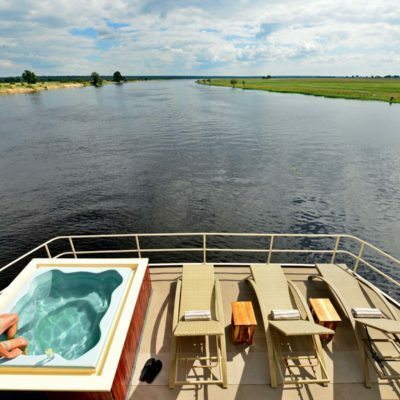 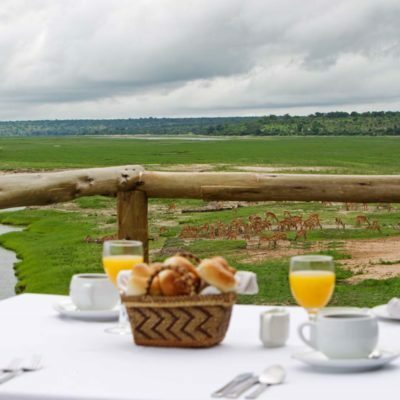 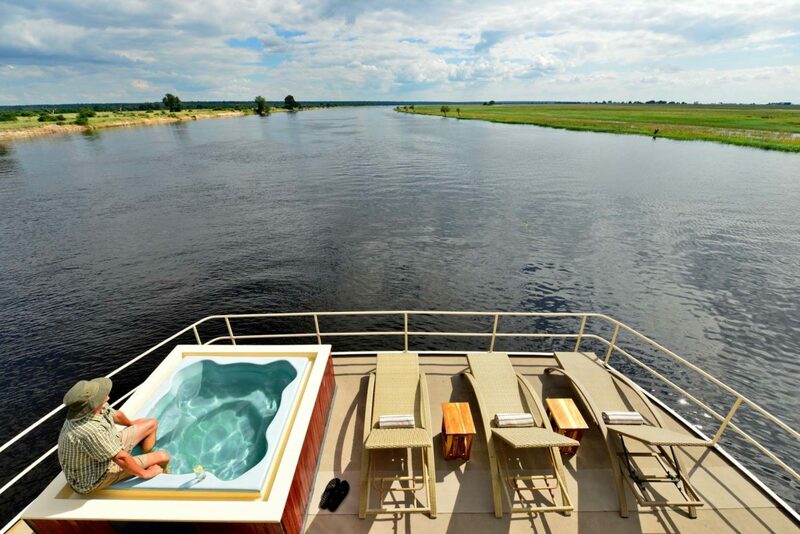 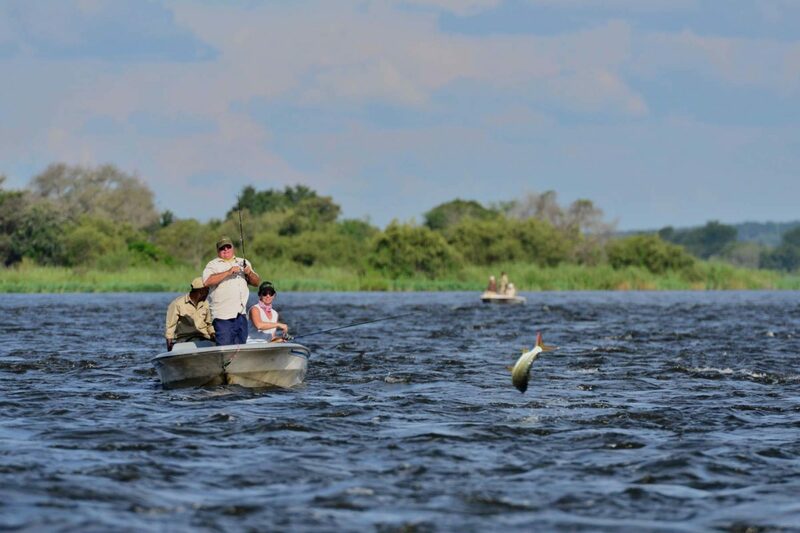 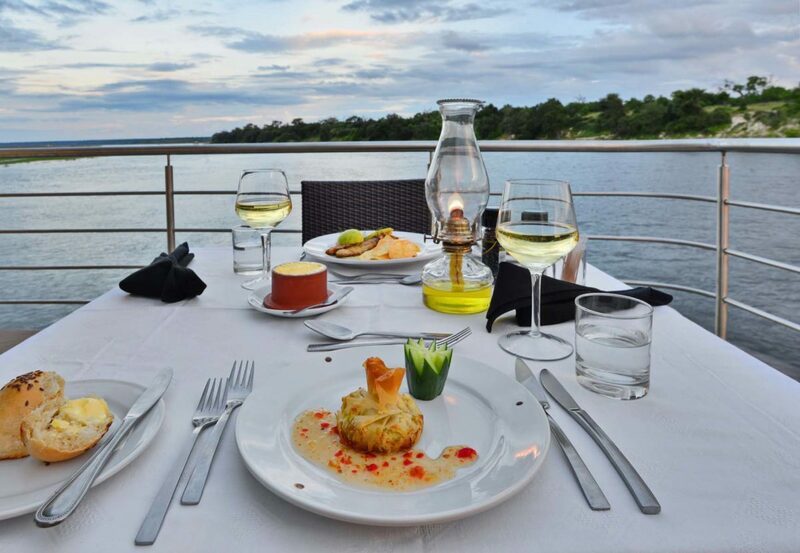 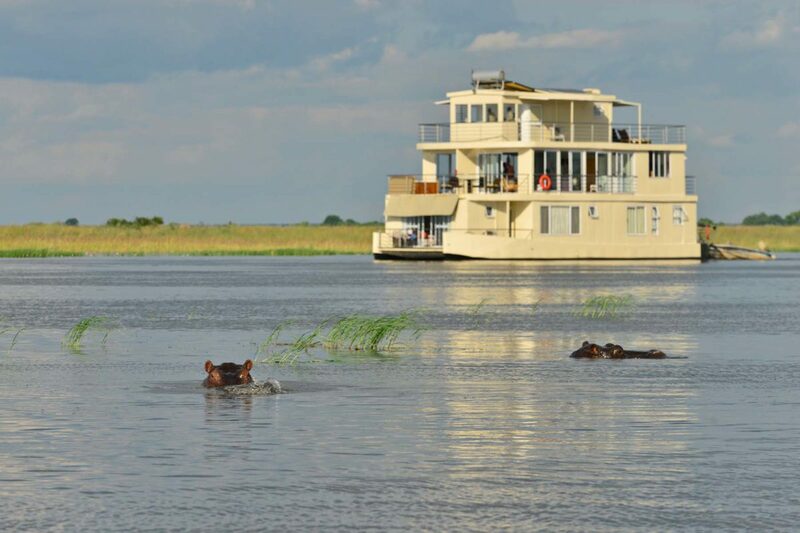 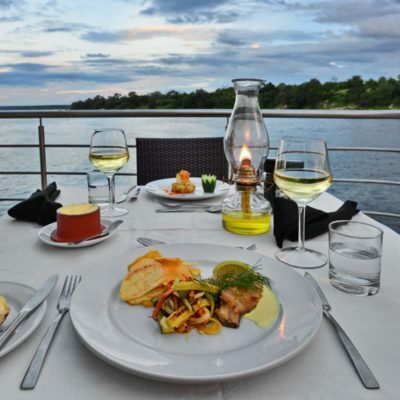 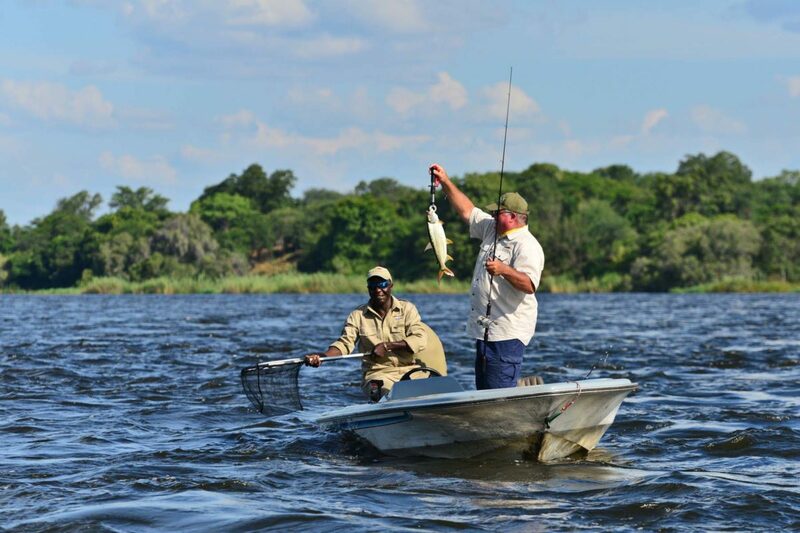 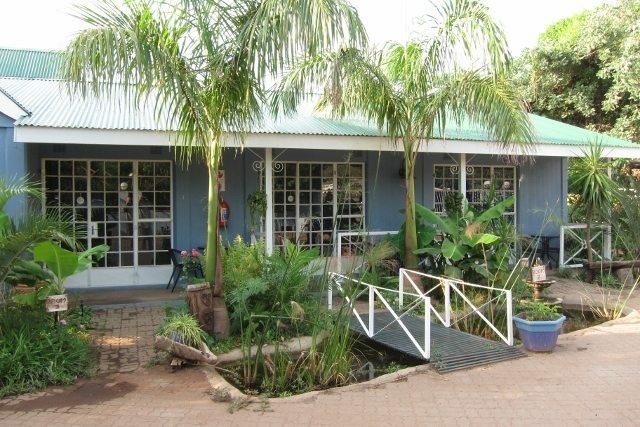 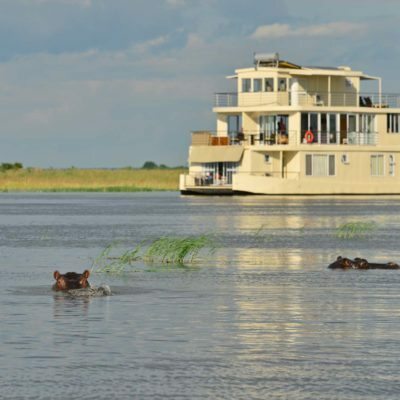 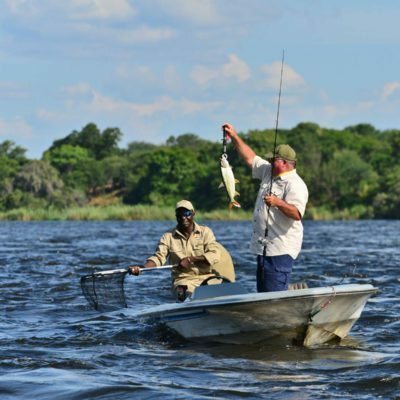 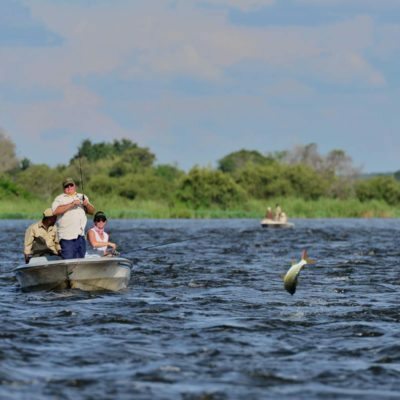 Further, it is located 50 km from Kasane – the busy tourism cluster on the other side of the Chobe Park. 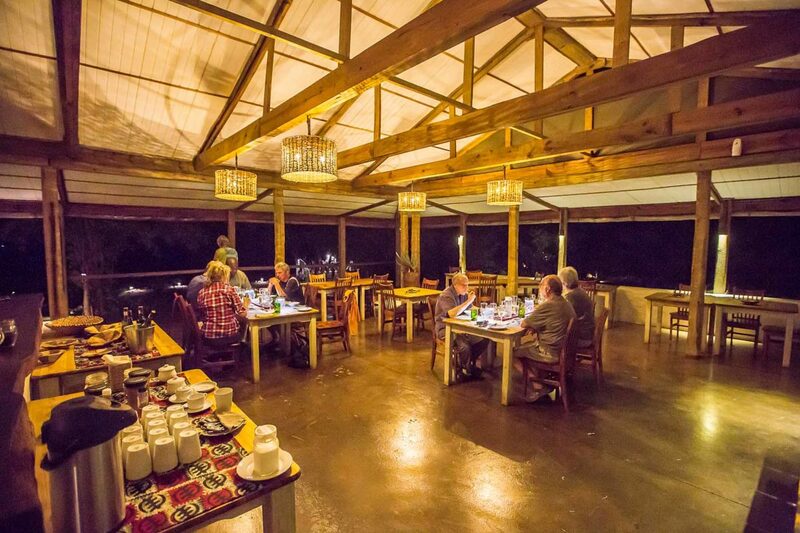 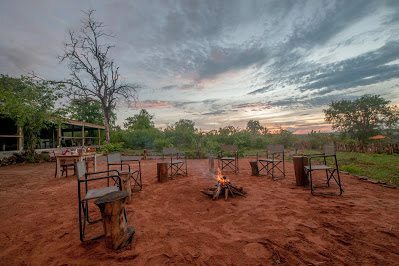 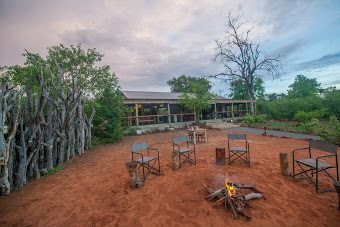 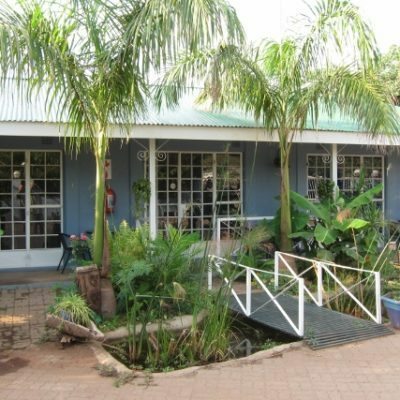 So you get a far better wilderness experience for your dollar, than if you would stay in one of the bustling Kasane lodges. 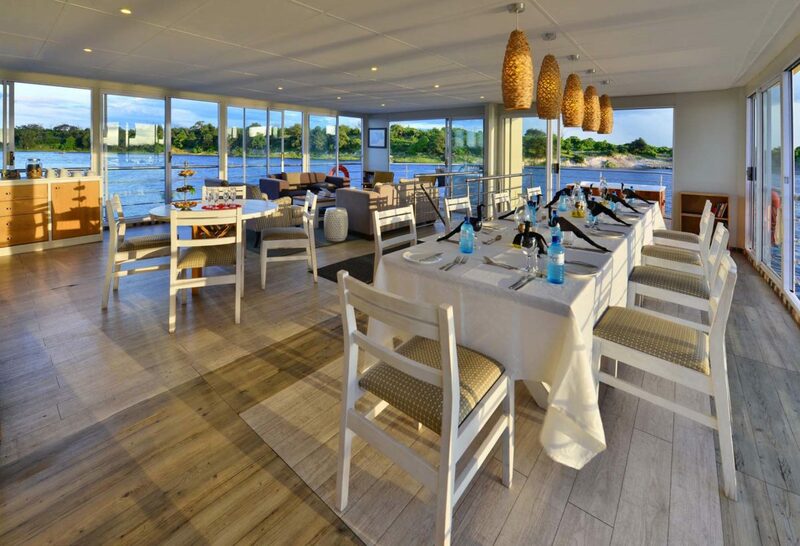 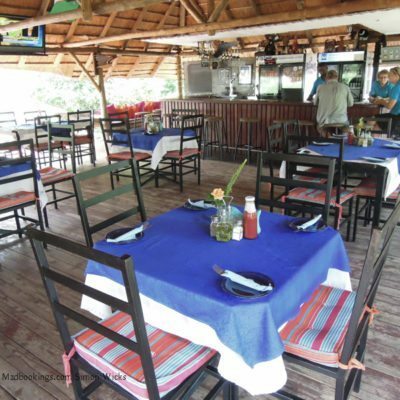 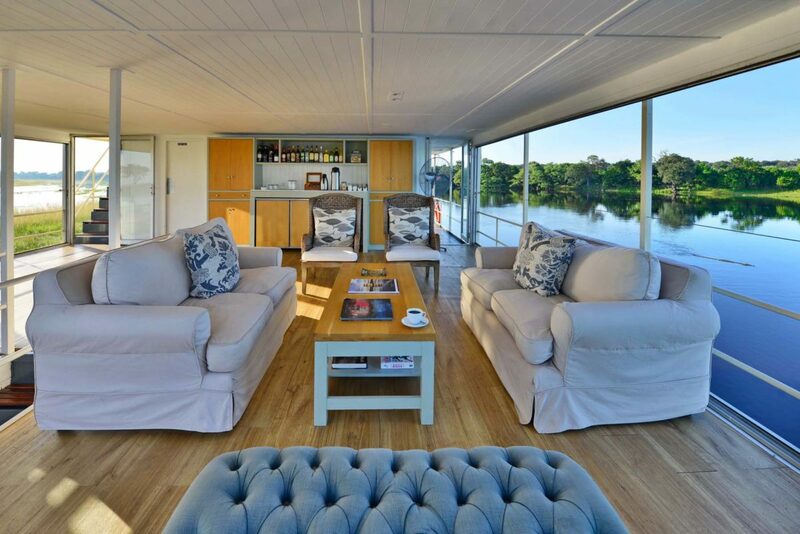 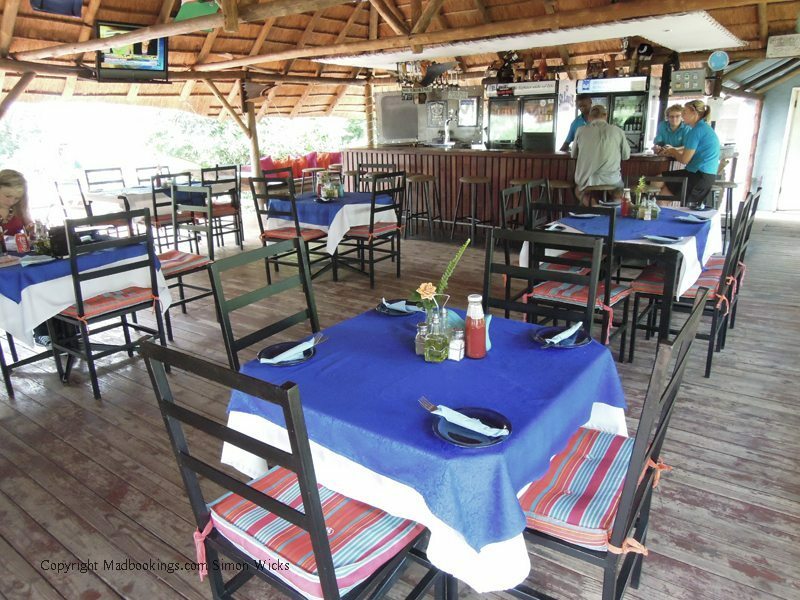 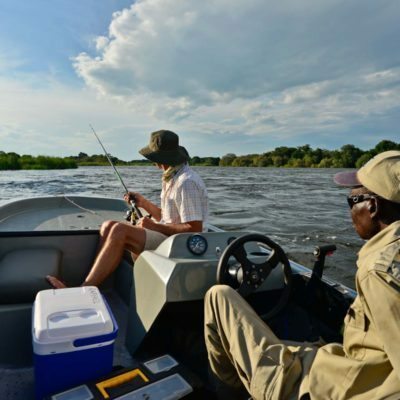 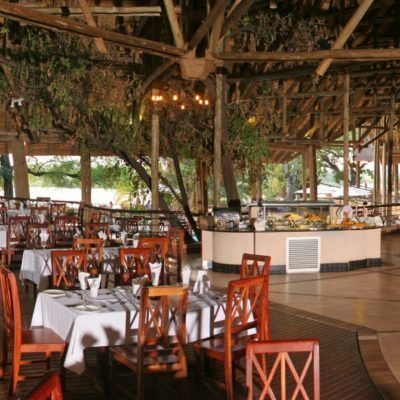 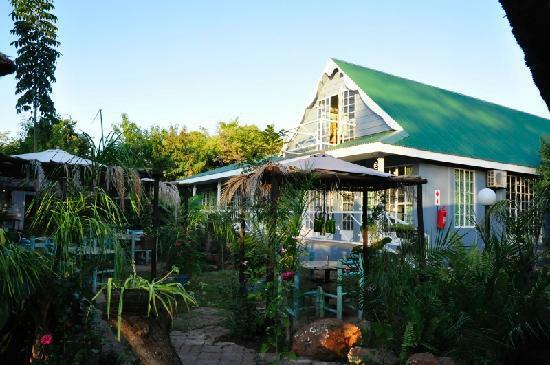 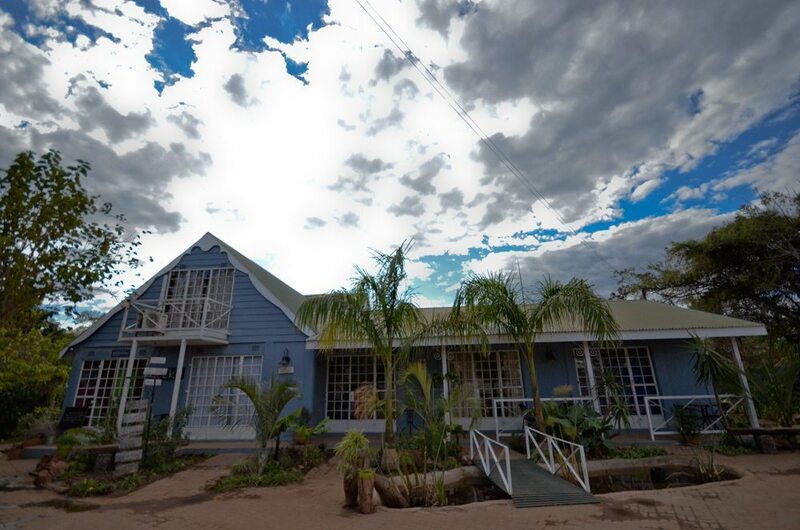 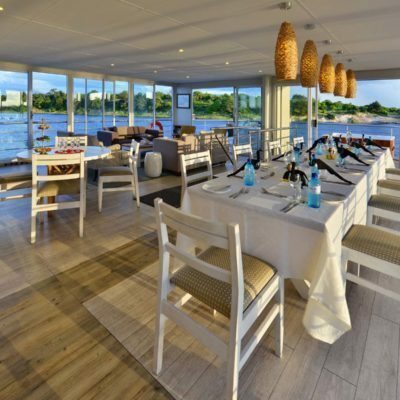 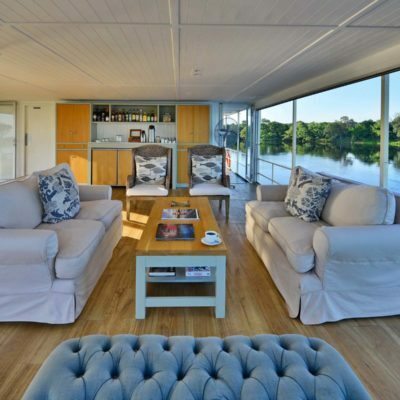 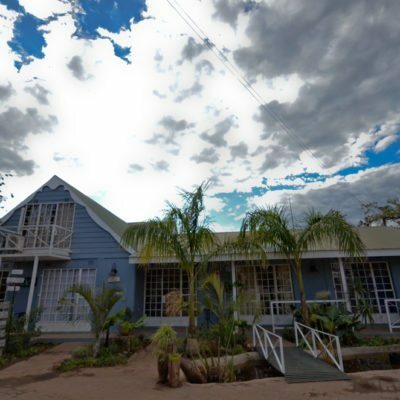 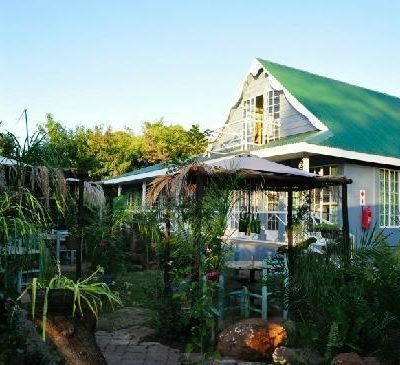 CEC offers game drives and boat cruises along the river-front and it is also very self-drive friendly with discounted rates if you do your own activities. 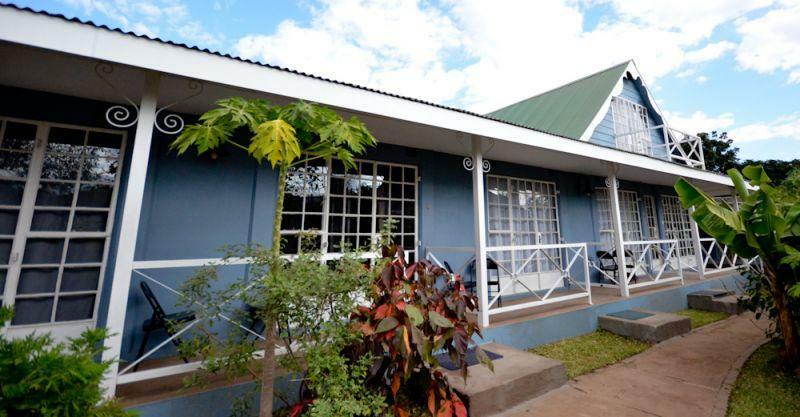 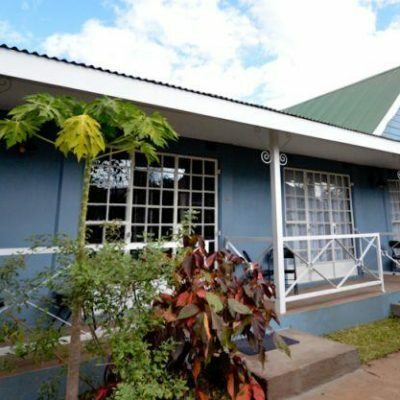 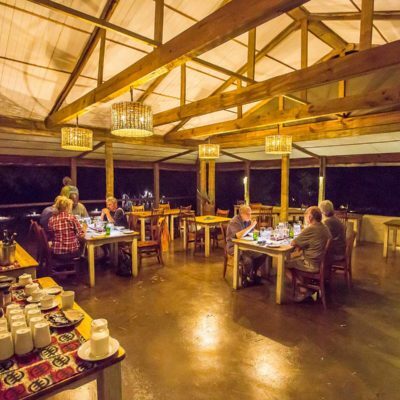 You can fly into Kasane international airport – the lodge will pick you up and transfer you by road to the lodge (it is a 60km drive on a very good tar road). 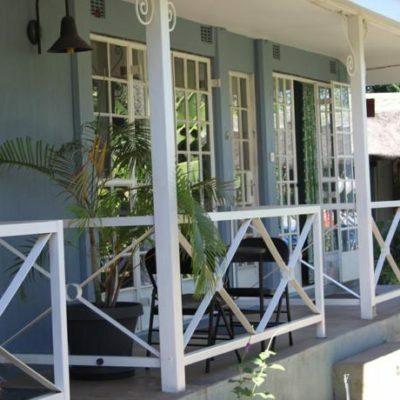 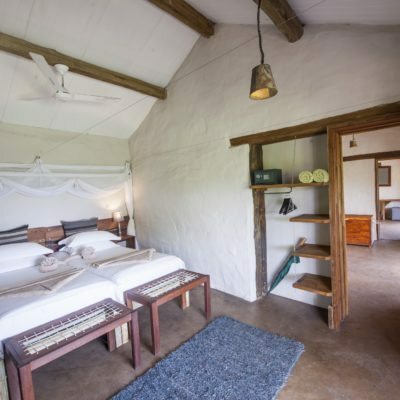 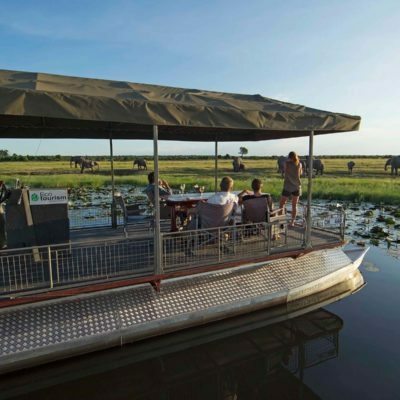 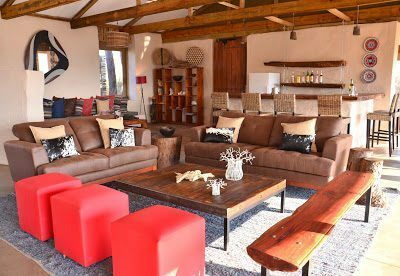 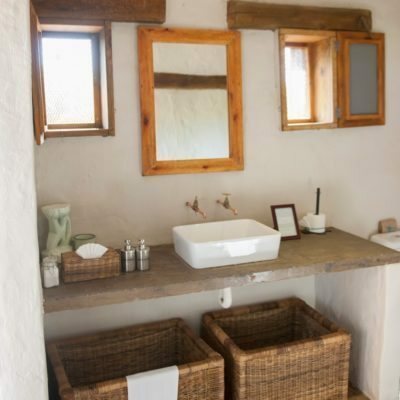 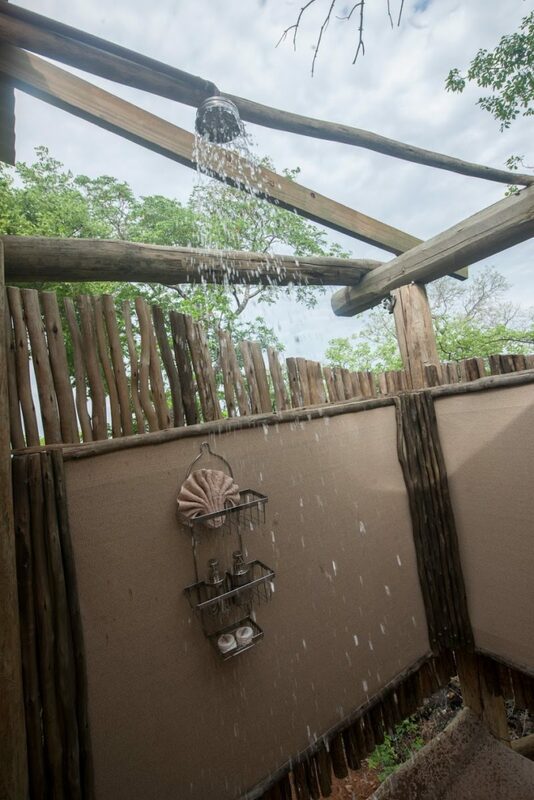 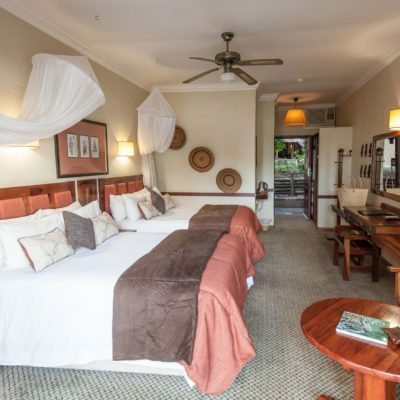 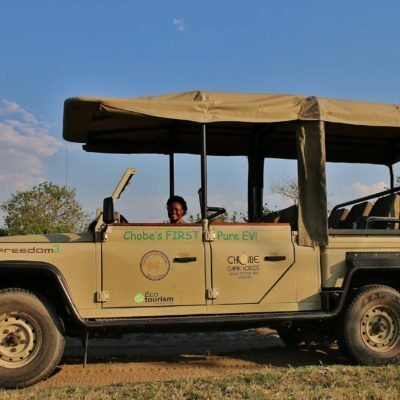 This lodge is also on the popular tourist route between Chobe and Moremi – so has easy access for self drive vehicles and we use it on mobile safari itineraries. 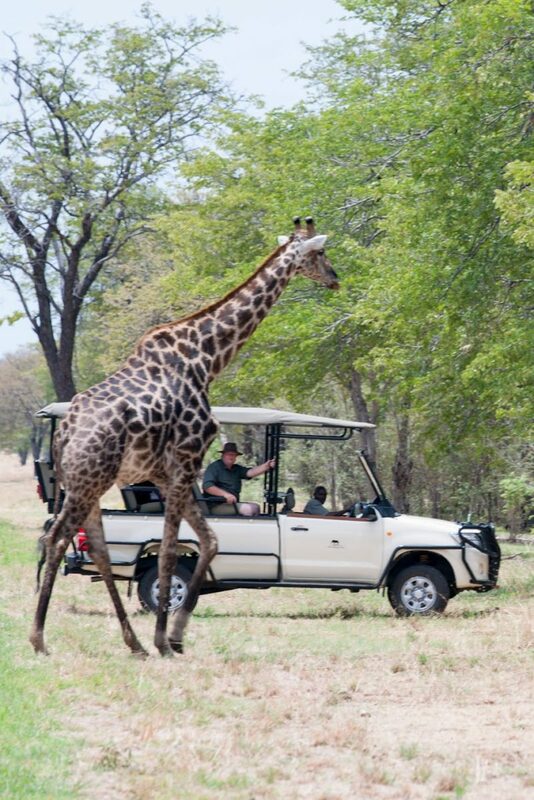 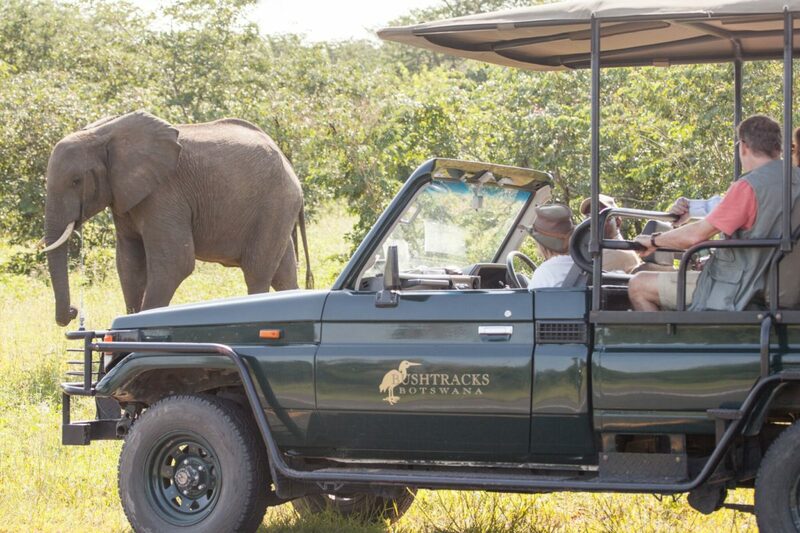 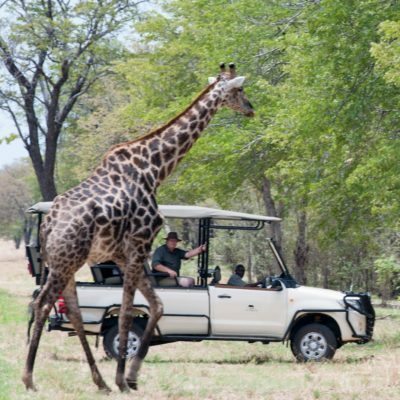 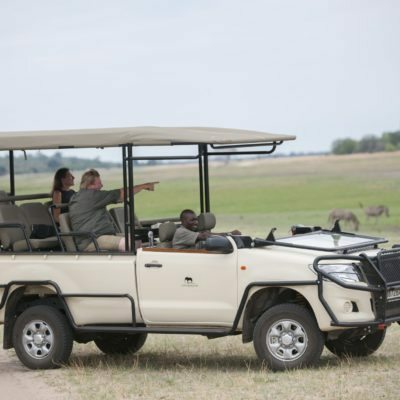 There is not much choice for activities here as strict park rules only allow game drives and boat cruises in the park. 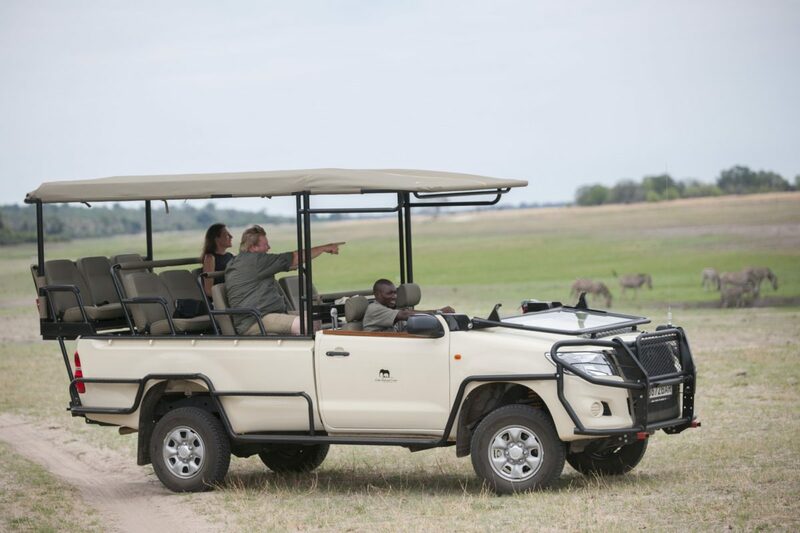 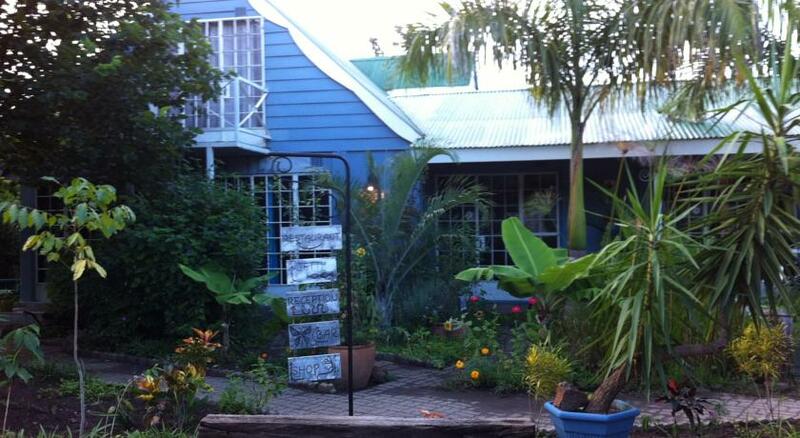 Early morning and afternoon drives leave daily from the lodge. 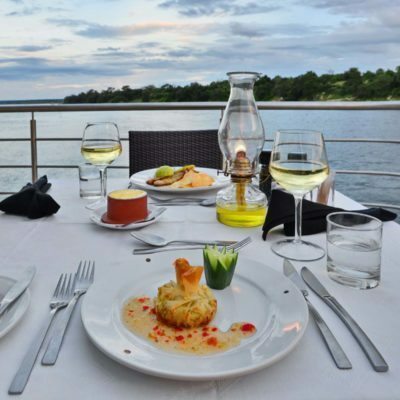 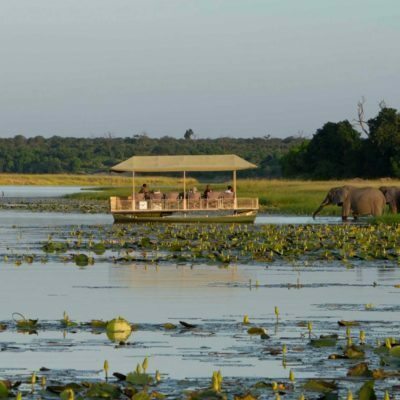 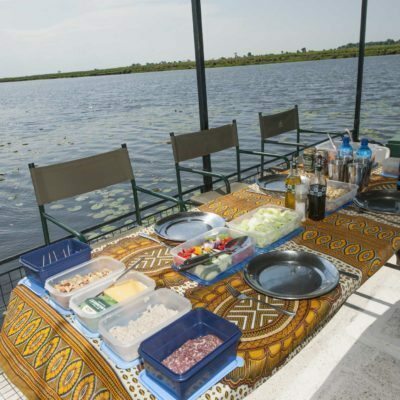 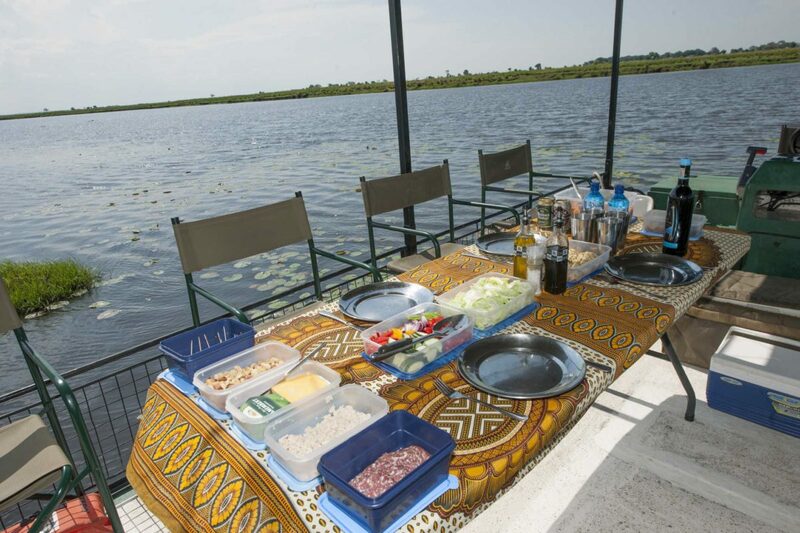 Boat cruises are done from the boat jetty in Kasane town and so involves being out of the lodge for most of the day, combining a drive to town (60km) with the boat activity – guides make this a day trip so you get some game drive included in this activity. 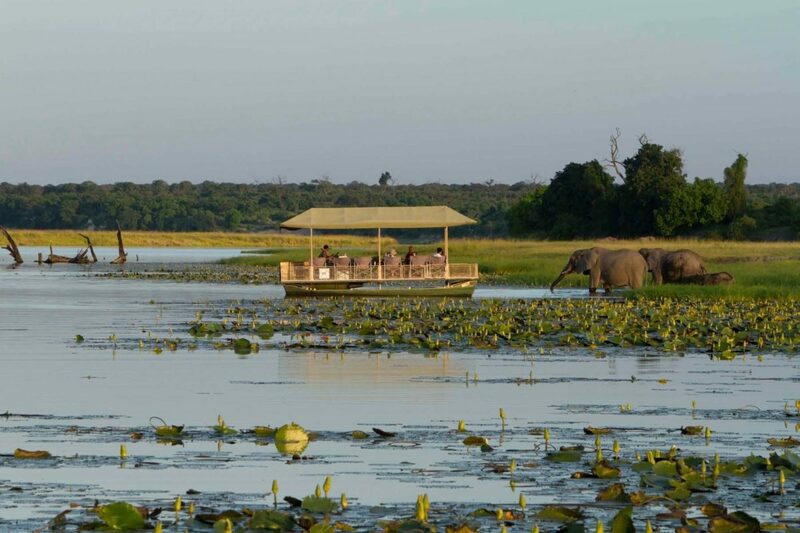 They are however, currently working on a new boat jetty which will improve the logistics of getting to their boats! 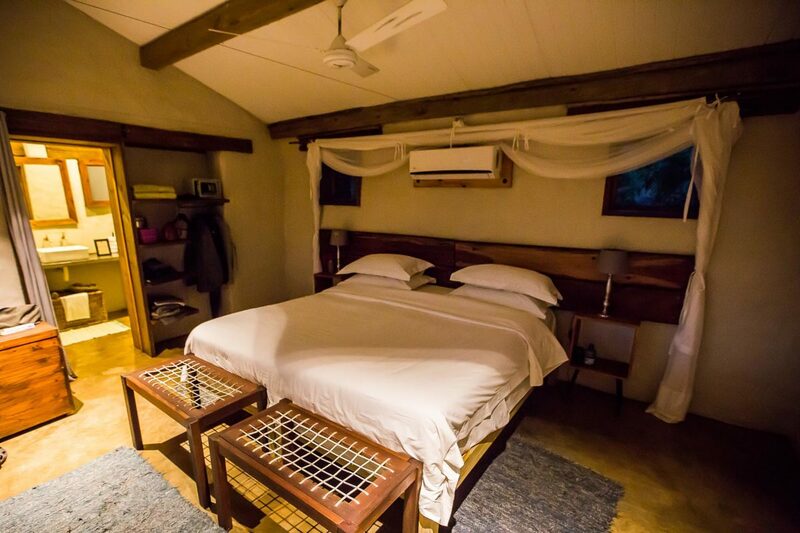 You can also do your own activities in your own vehicle and just use the lodge as your base. 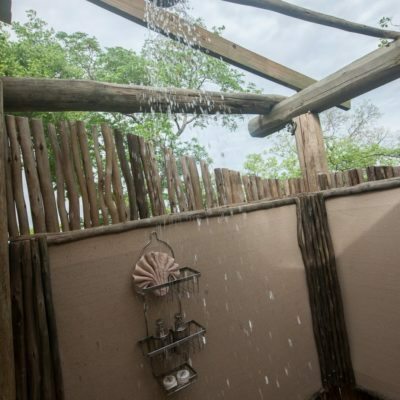 They offer discounted rates if you do this. 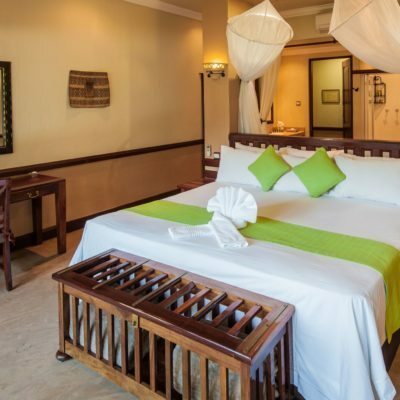 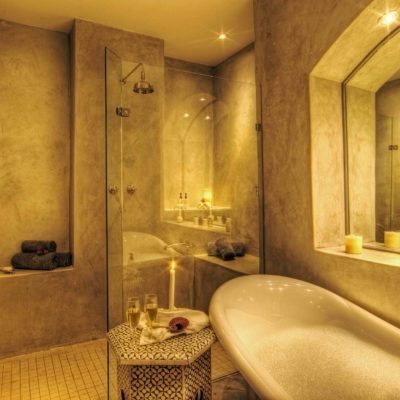 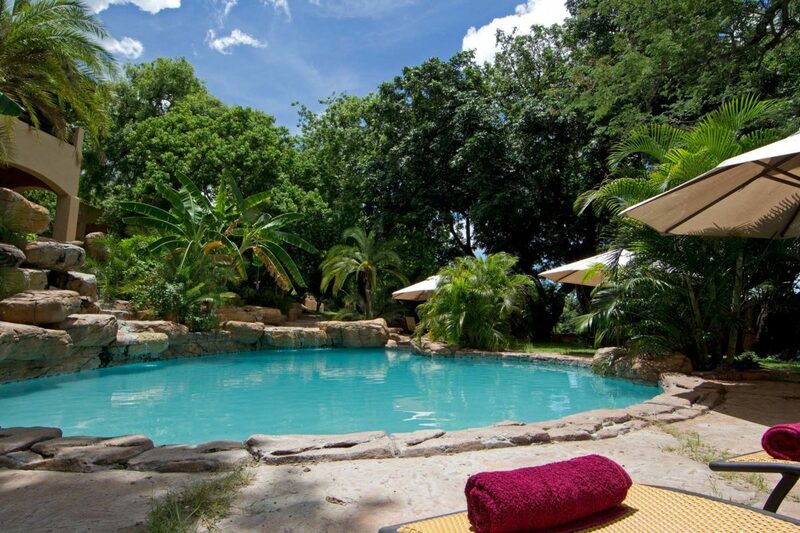 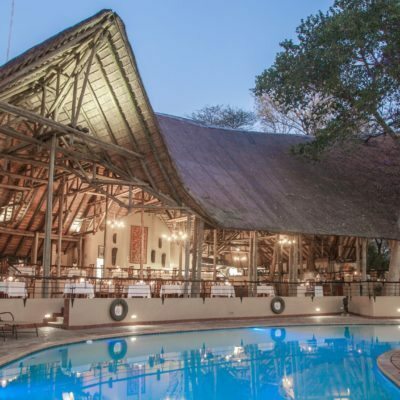 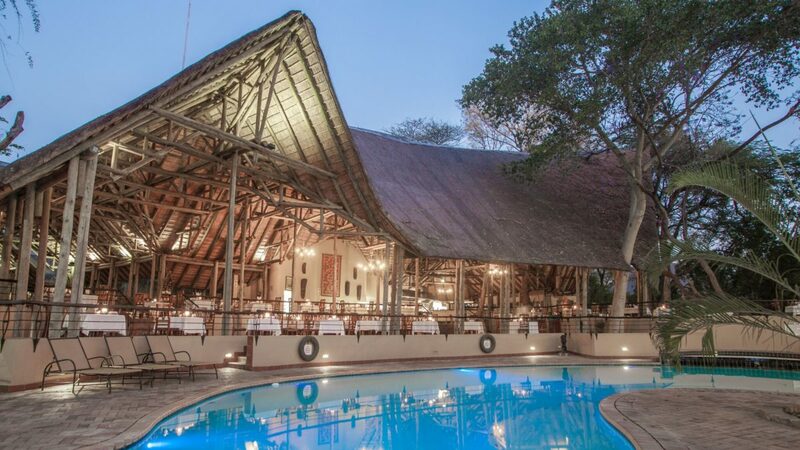 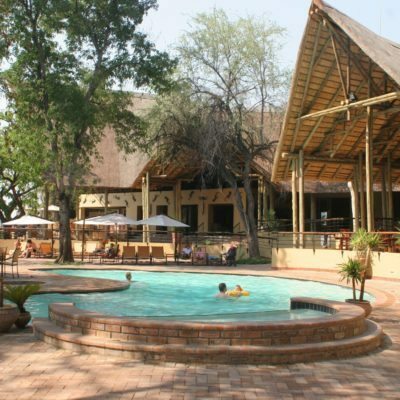 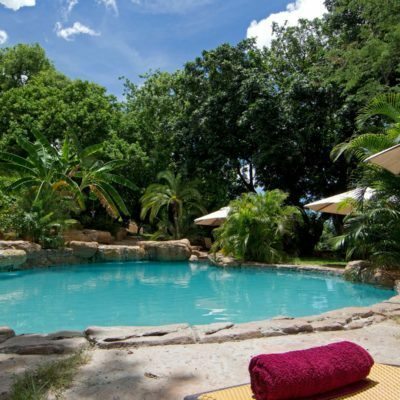 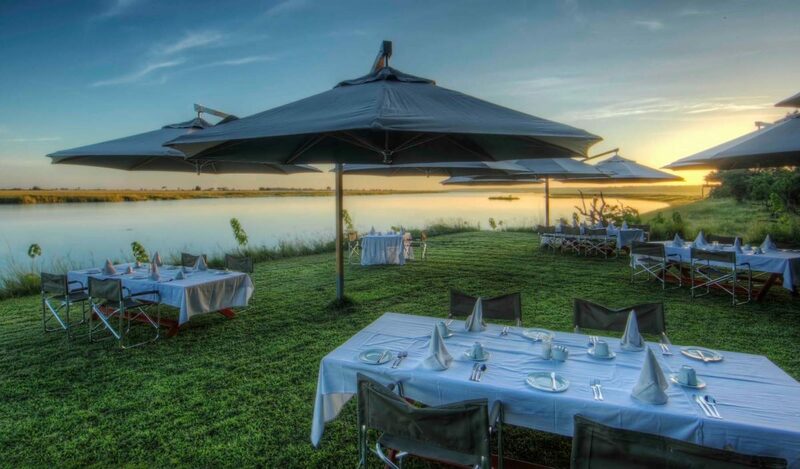 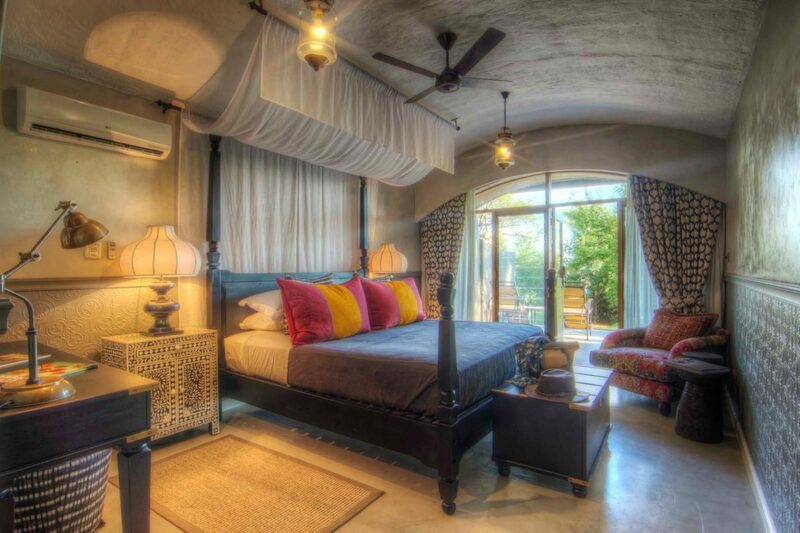 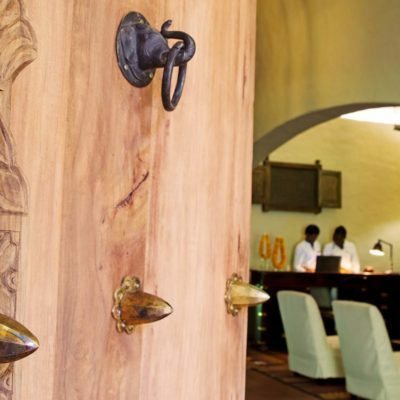 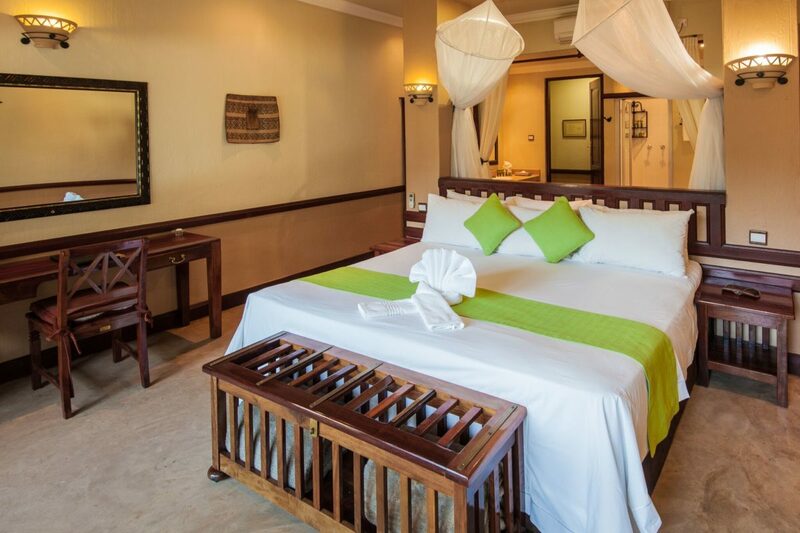 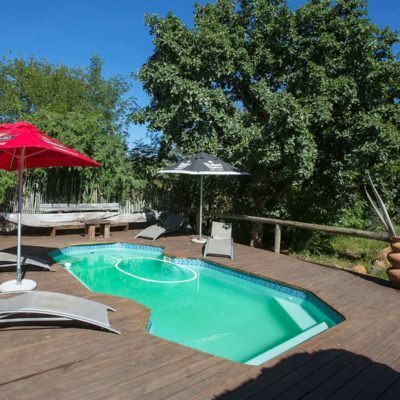 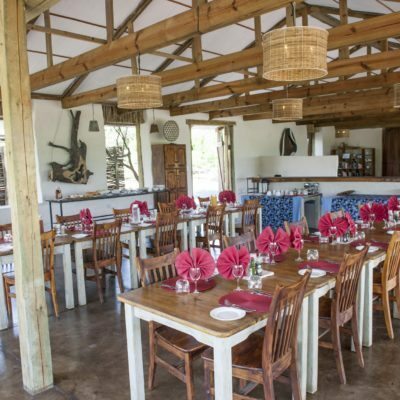 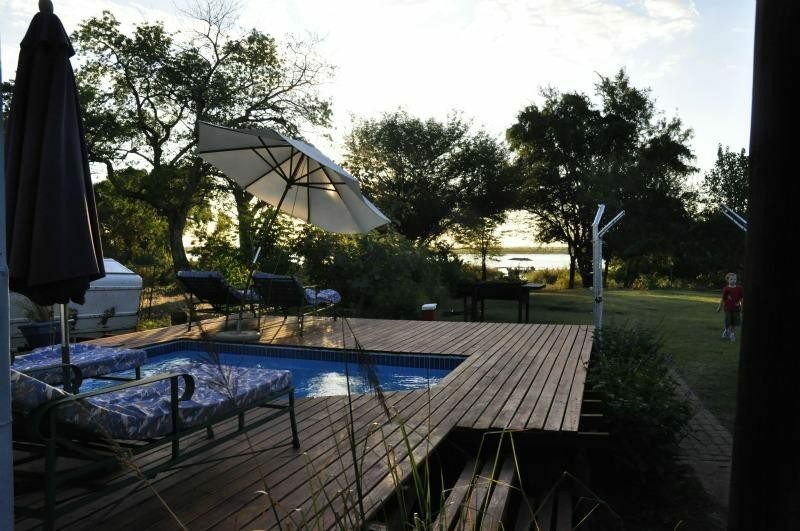 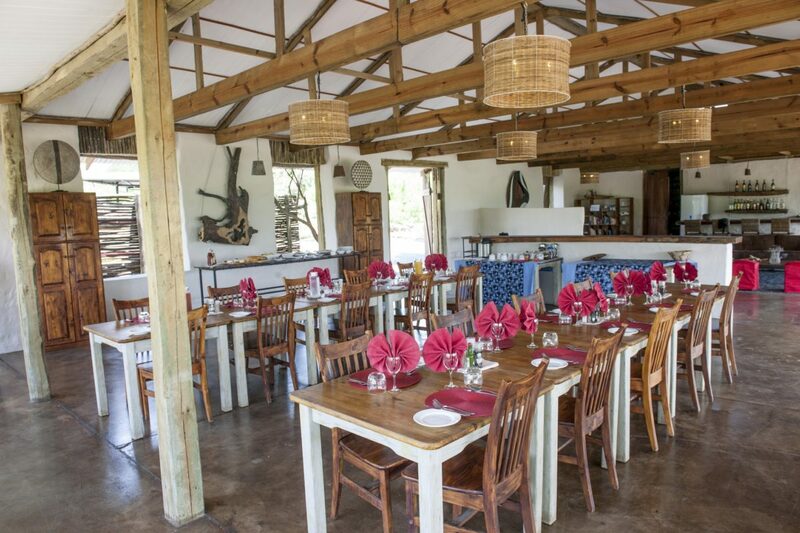 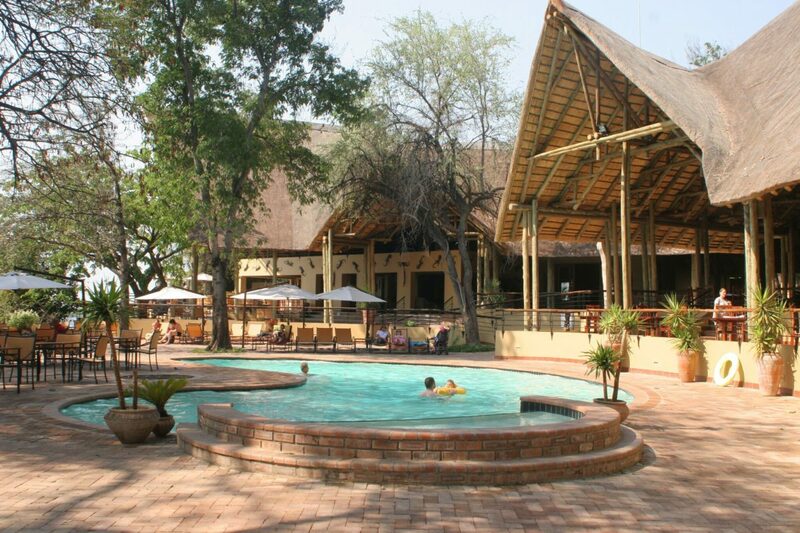 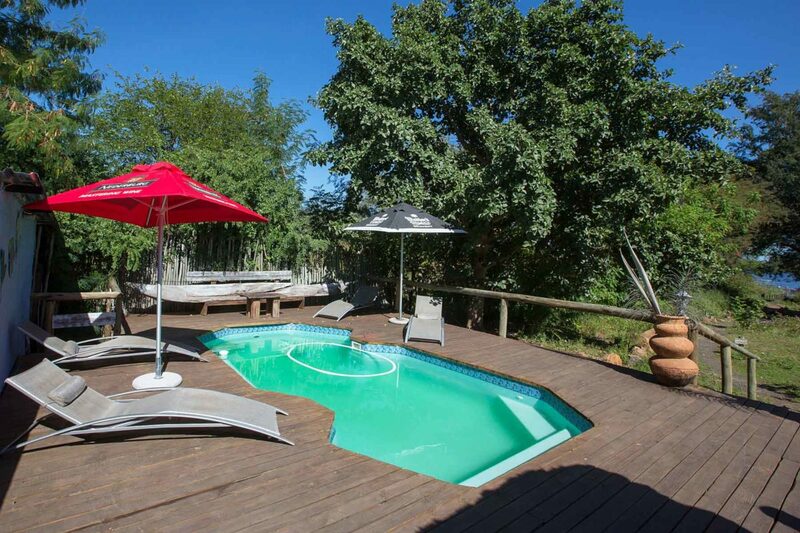 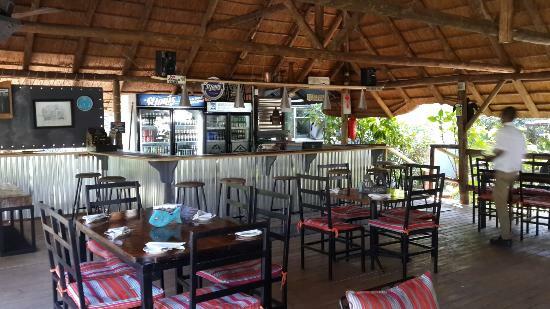 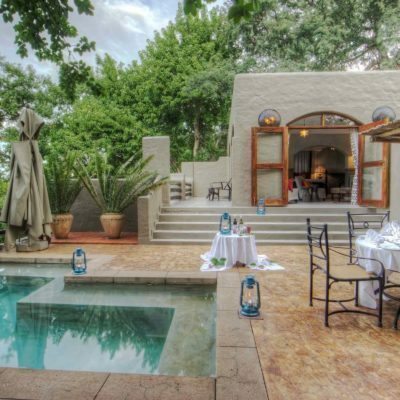 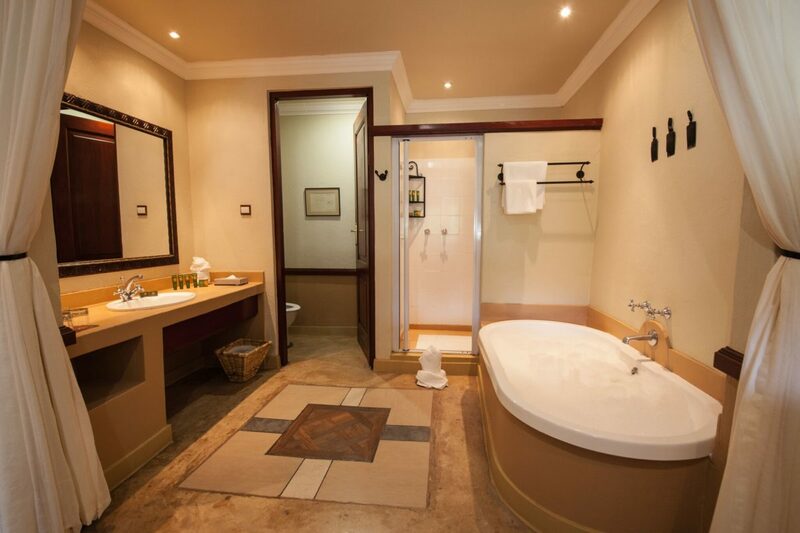 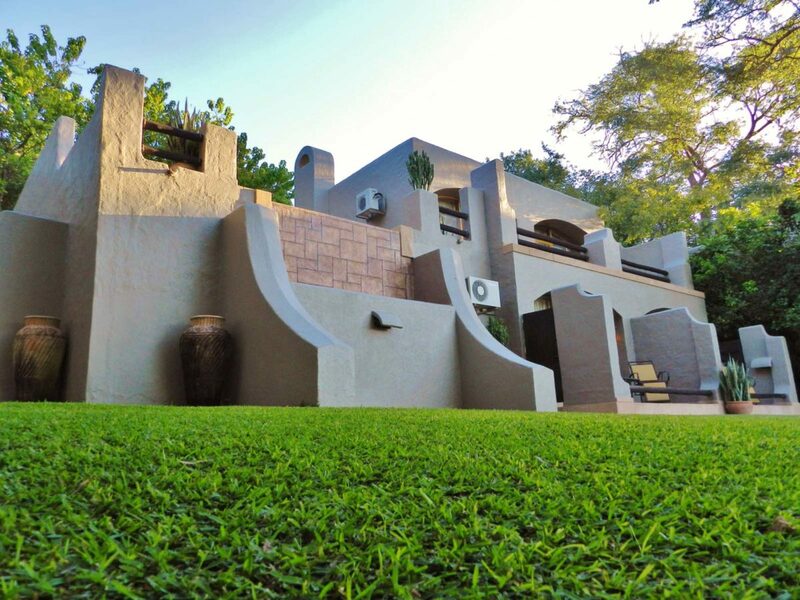 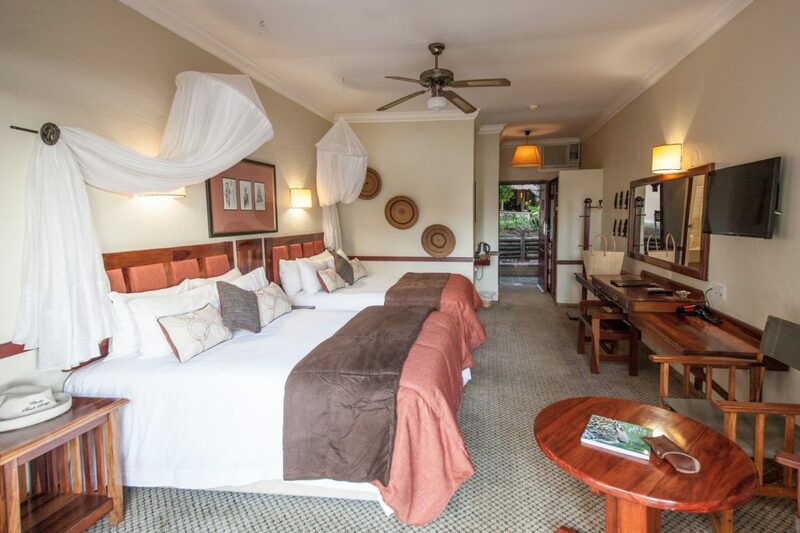 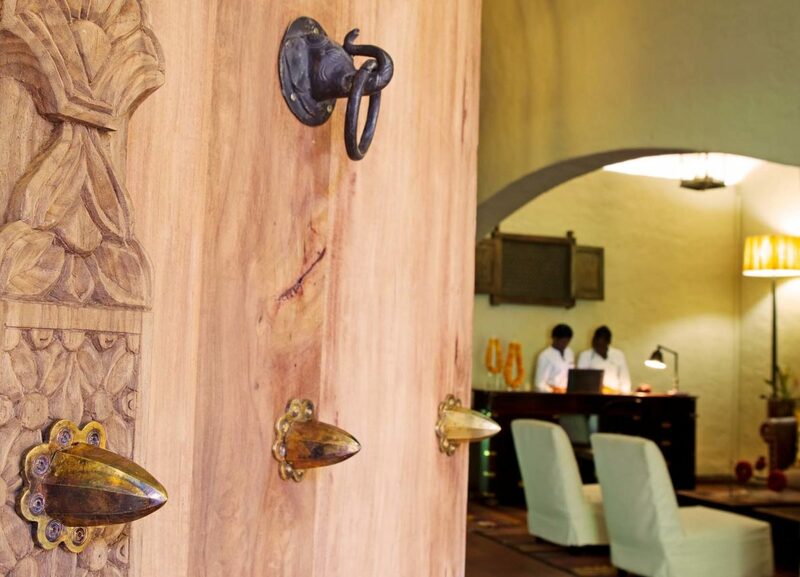 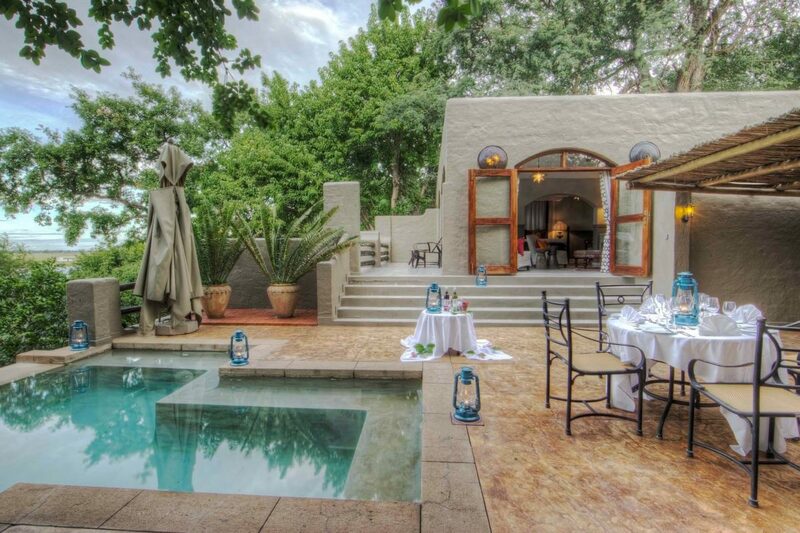 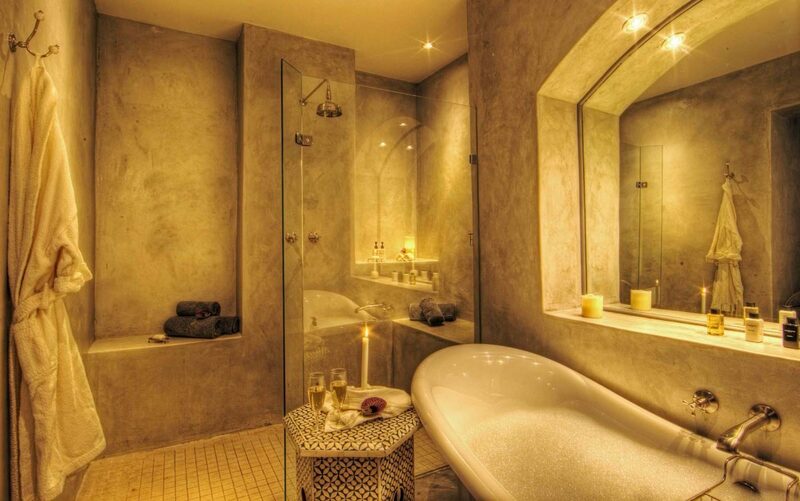 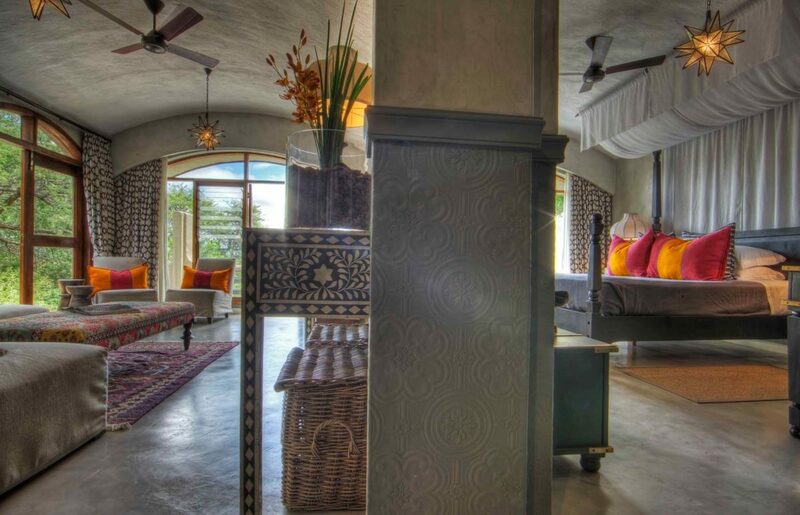 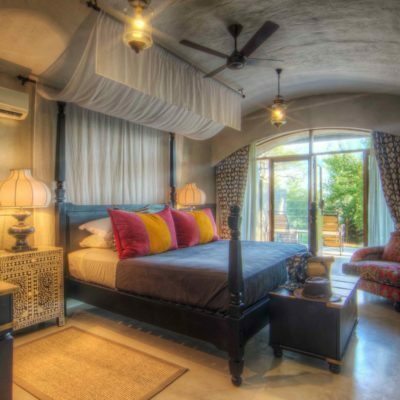 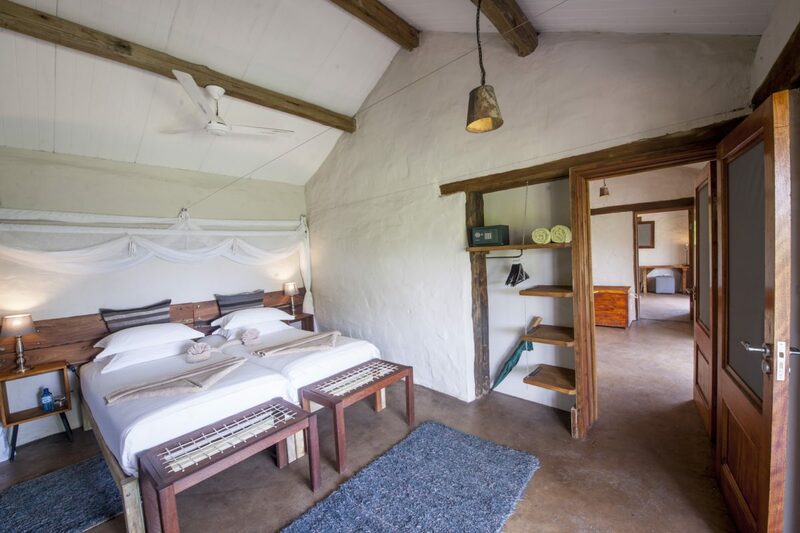 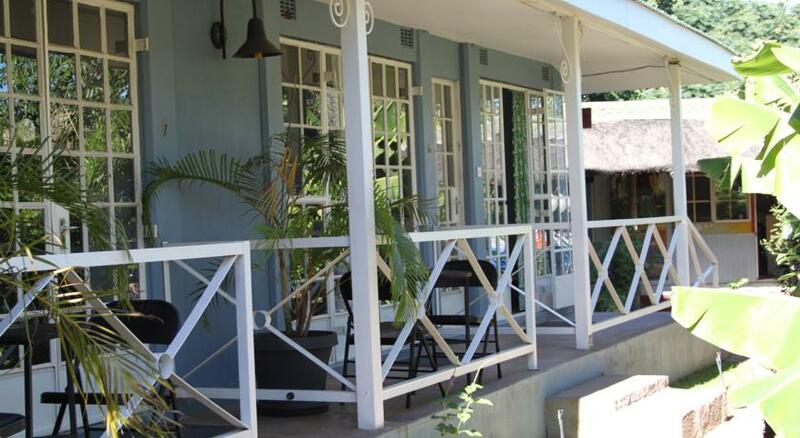 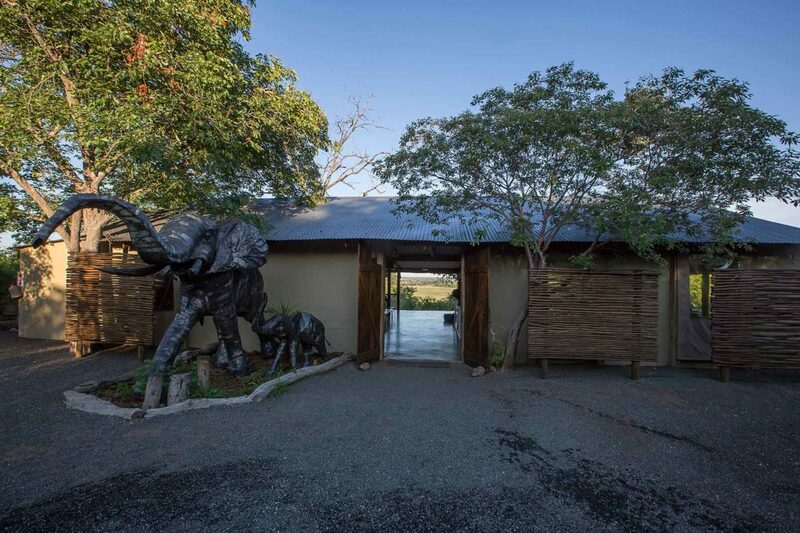 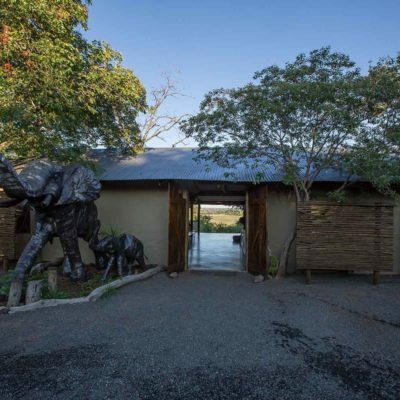 This lodge is located on what was once tribal land, just outside the Chobe National Park boundary. 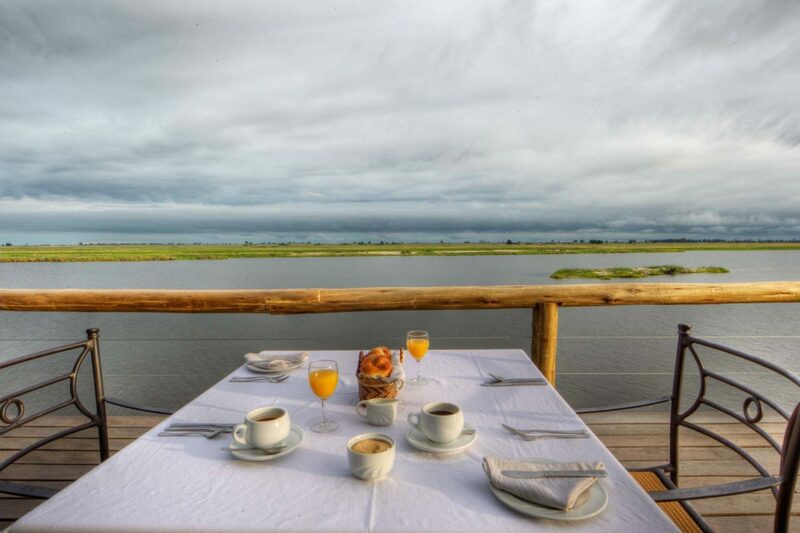 CEC is built high up on the Chobe Faultline (a ridge in fact) so has excellent views of the Chobe river floodplains below. 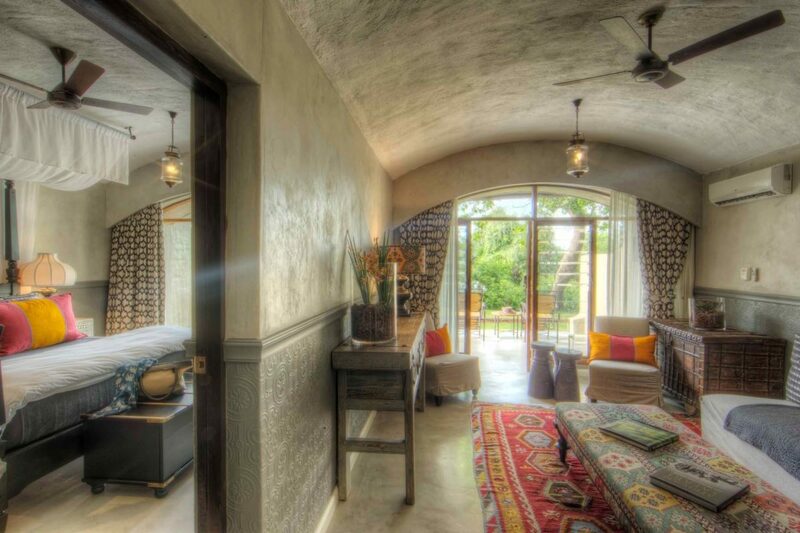 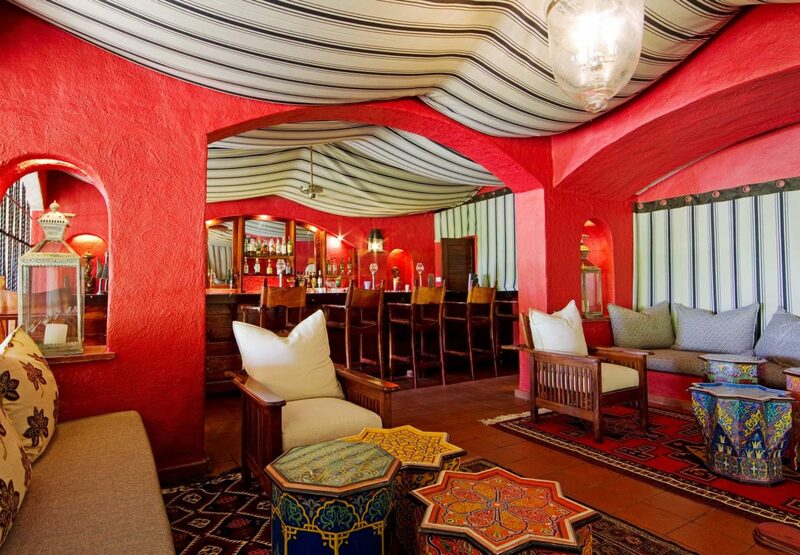 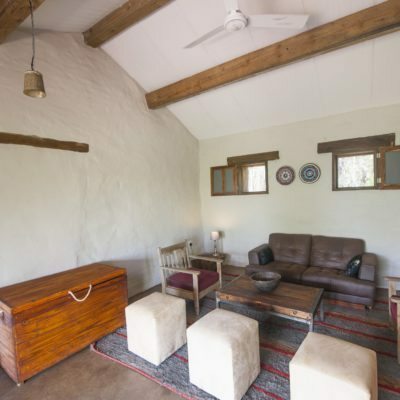 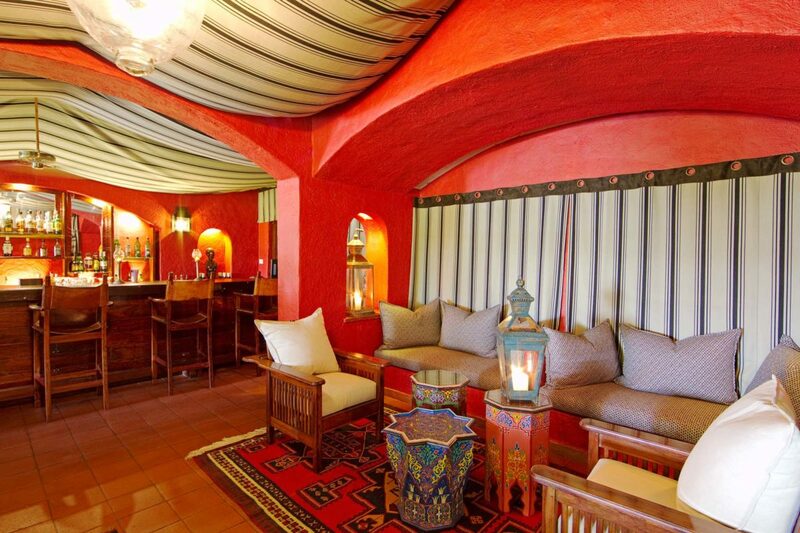 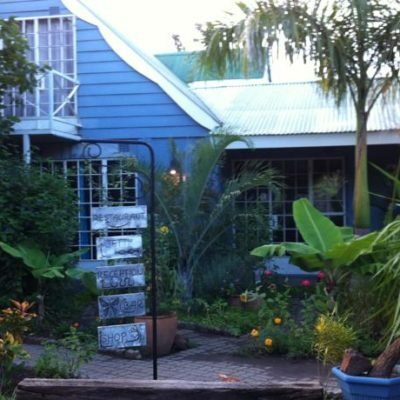 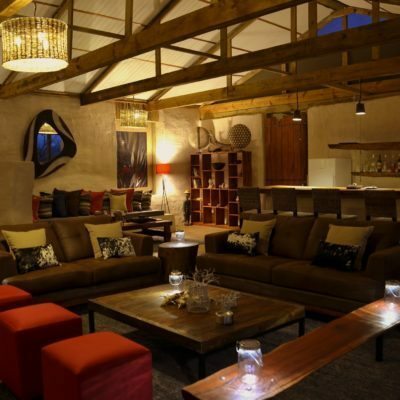 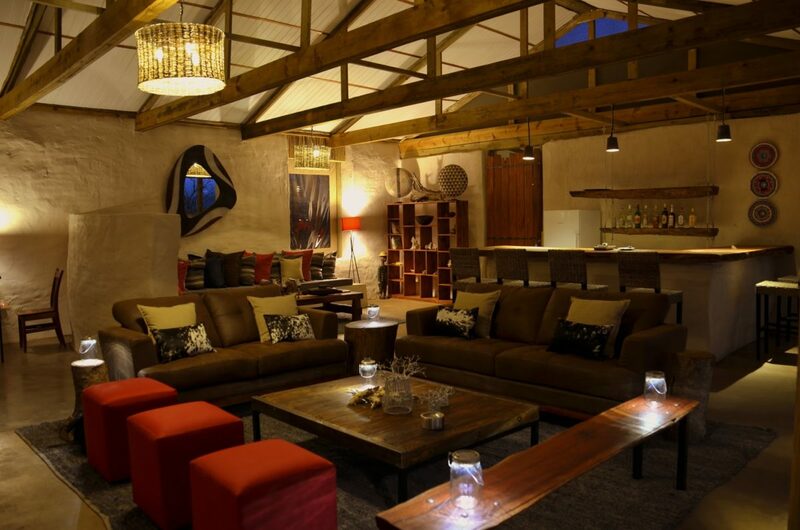 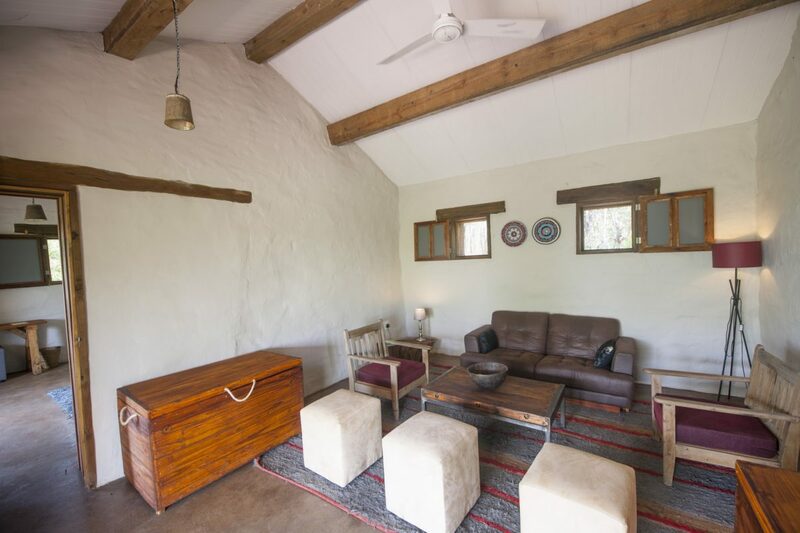 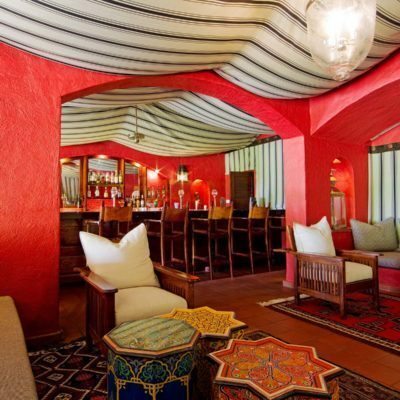 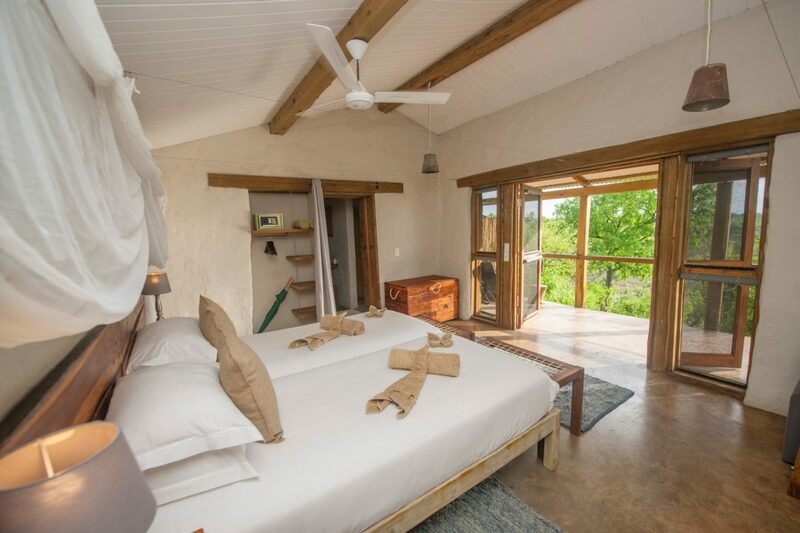 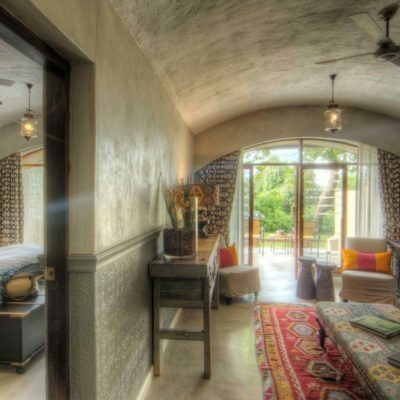 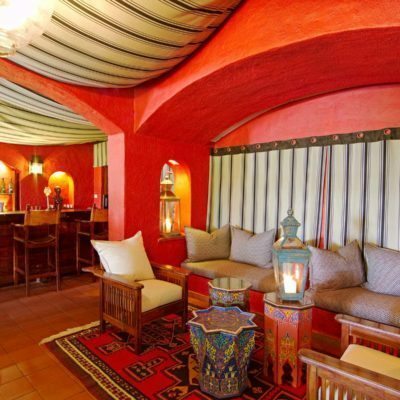 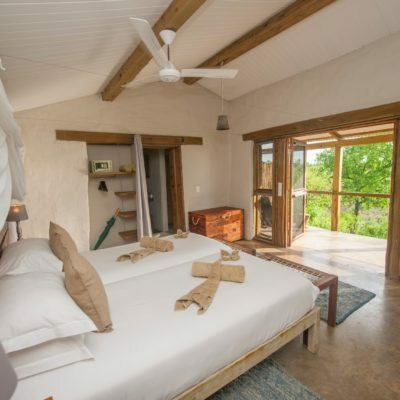 Interestingly, this lodge is built out of sand bags – simply sacks filled with local red sand. 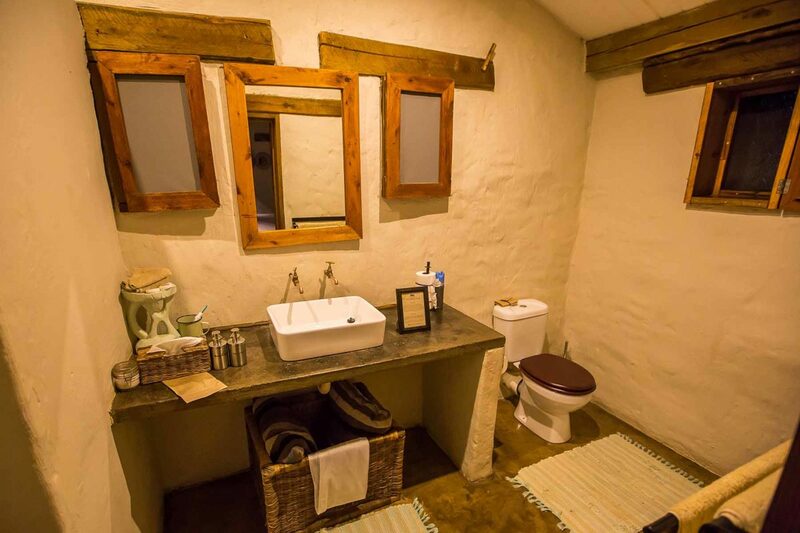 You would never notice as a thin layer of plaster is applied over the bags. 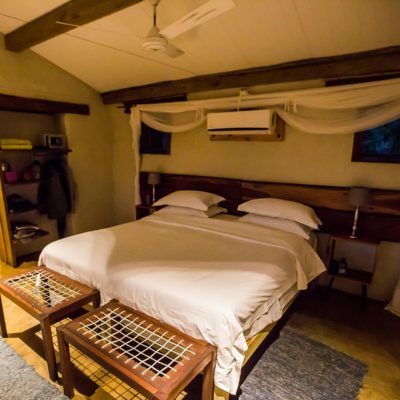 This way of building is very environmentally friendly and this camp has tried wherever possible to use solar power for most of the camp’s needs. 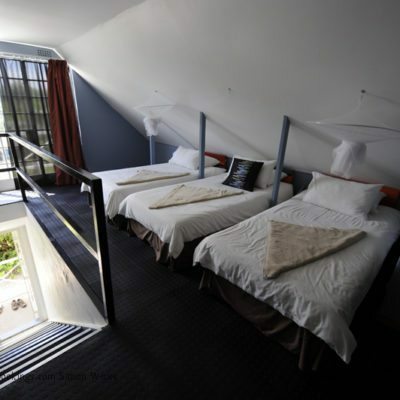 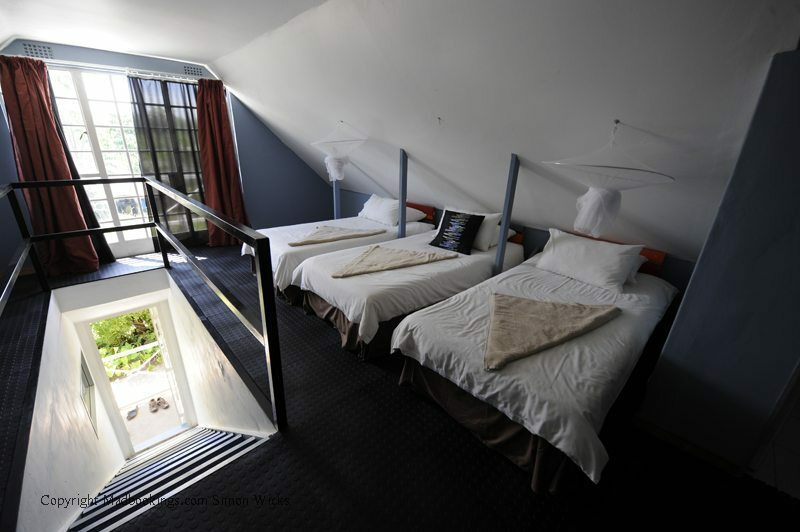 The rooms are fairly spacious thatched chalets. They have just had air conditioning installed as the site lies fairly close to the national grid that supplies nearby villages. 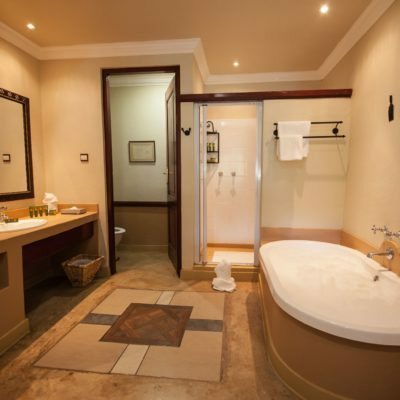 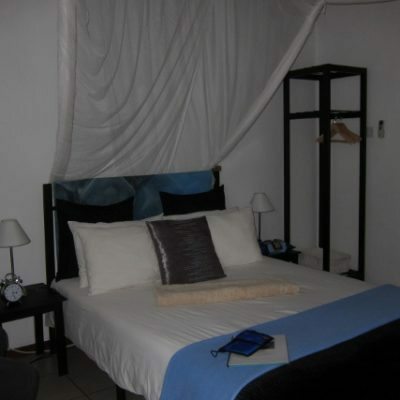 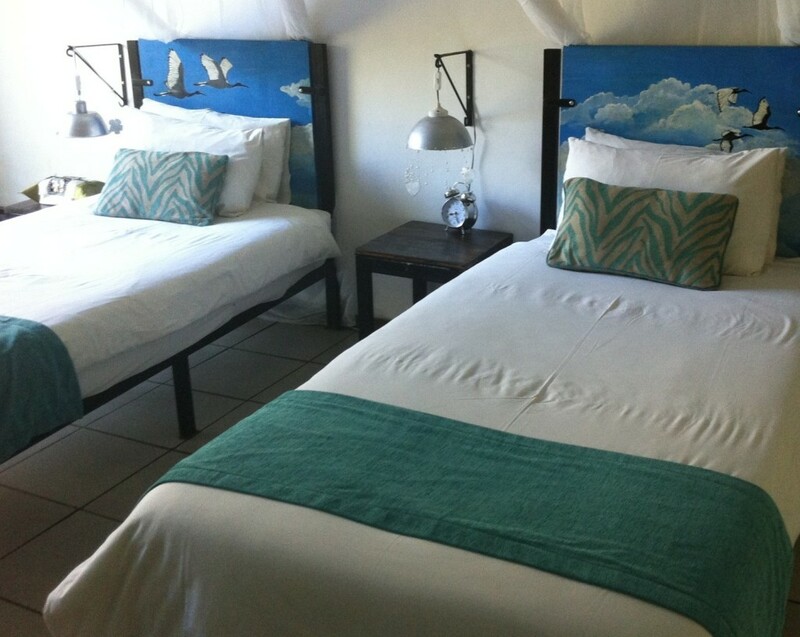 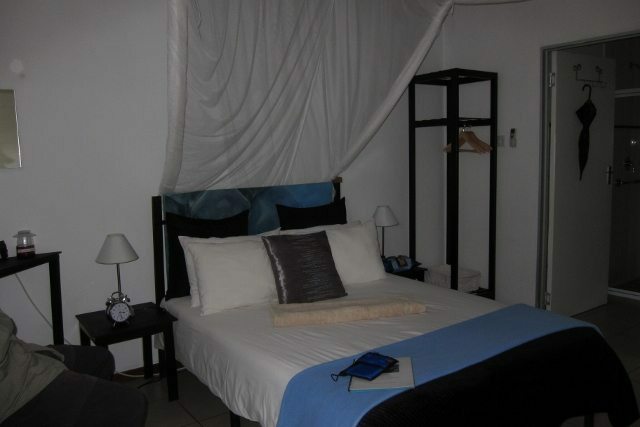 There is an excellent family room and a honeymoon suite. 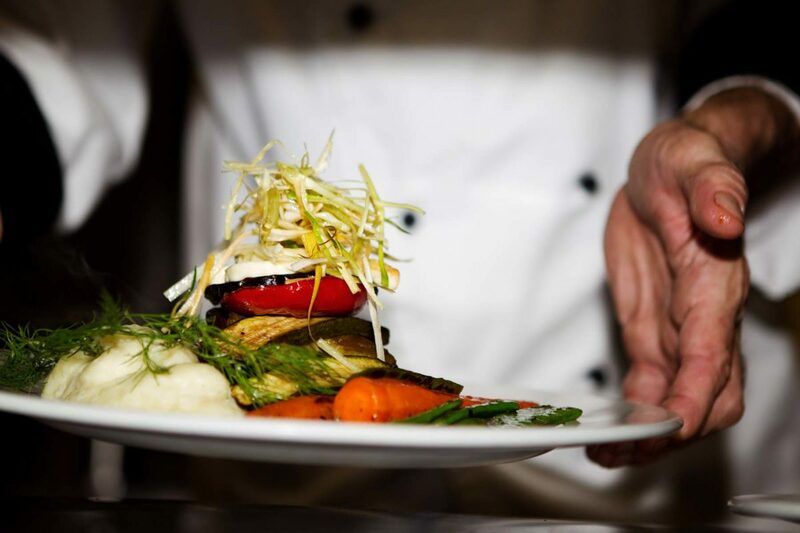 CEC offers good value. 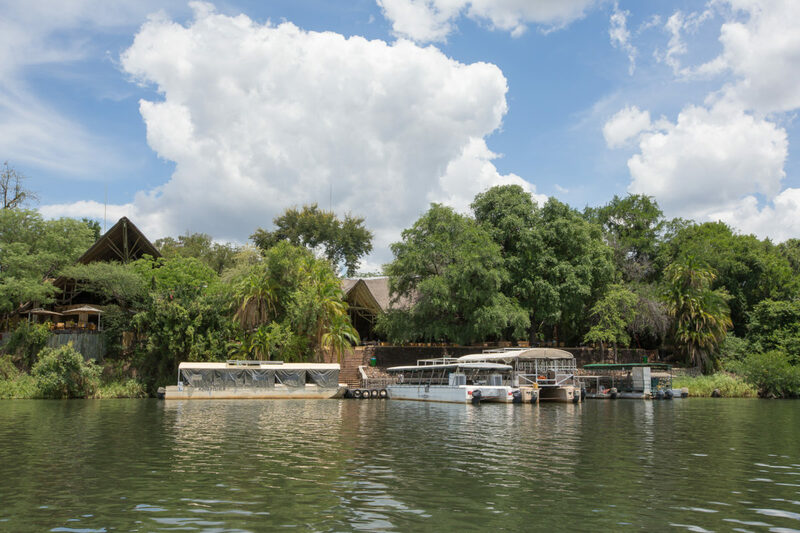 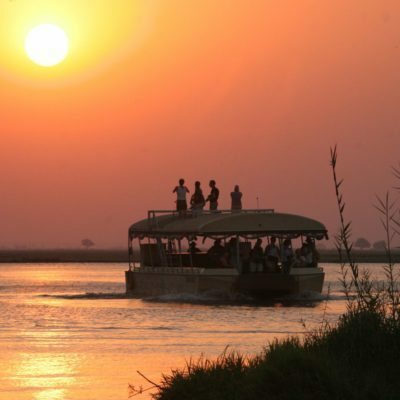 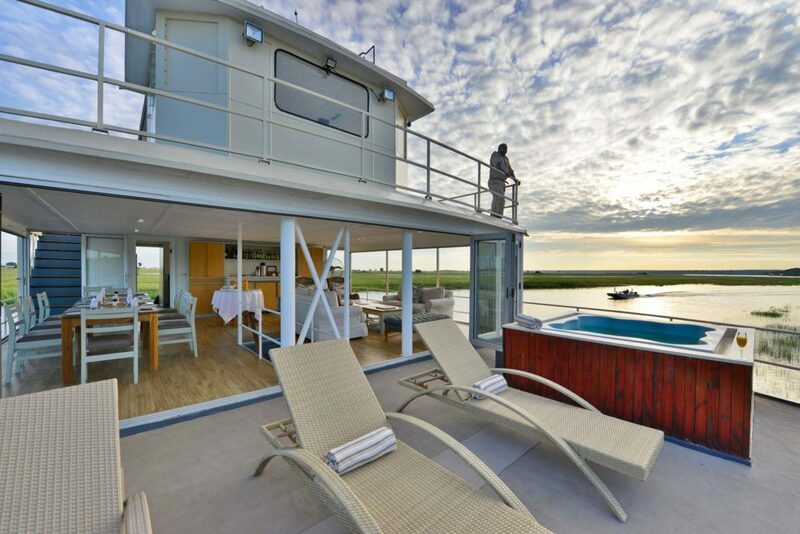 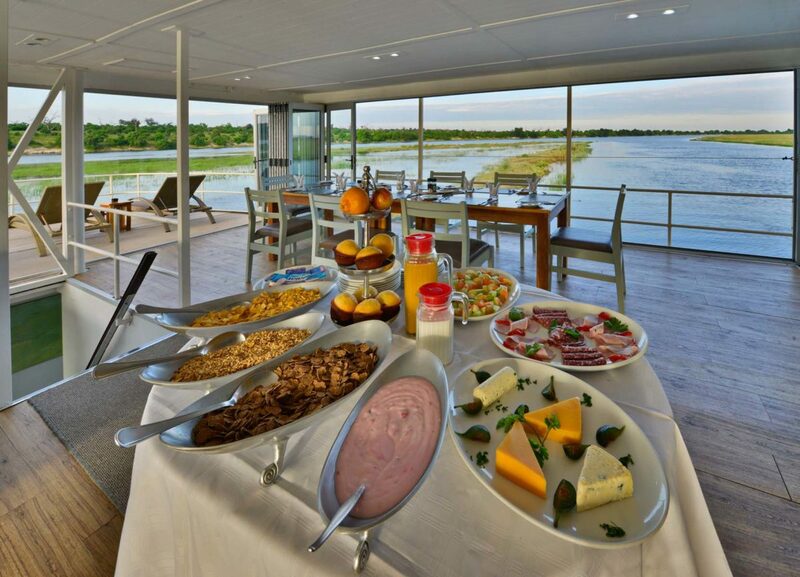 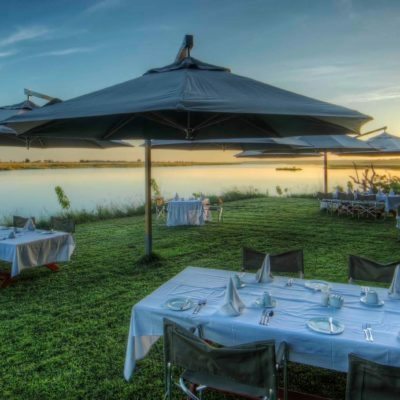 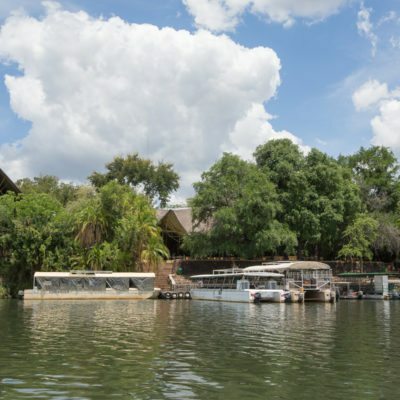 The Chobe Riverfront is highly congested, so the option of staying to the West of the park at CEC is highly appealing (it gets you away from the busy areas of the park). 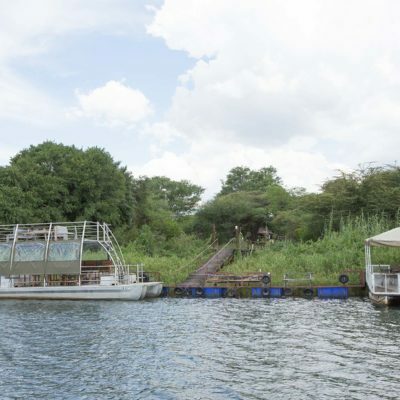 They have just built a new boat jetty near a place called Ihaha. 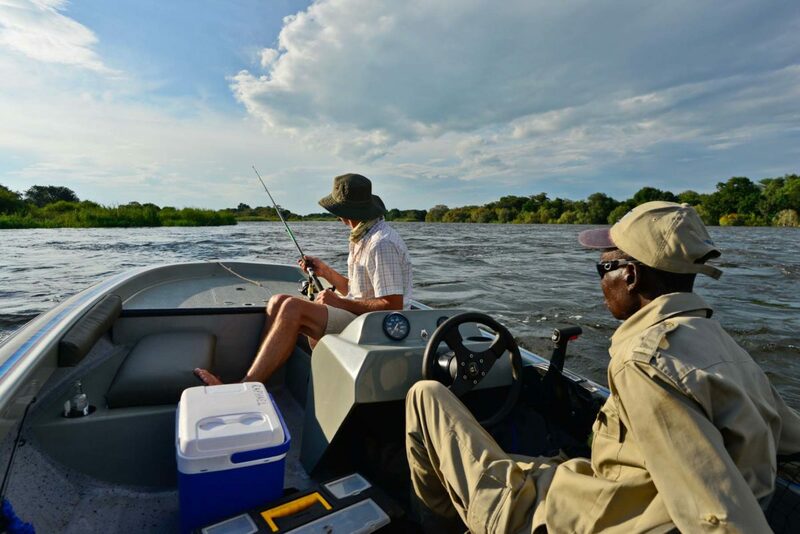 This means that the guides can reach the boats for boat activities in half the time (they were driving all the way to Kasane and back before, with a bit of a “dead-leg” on the tar road). 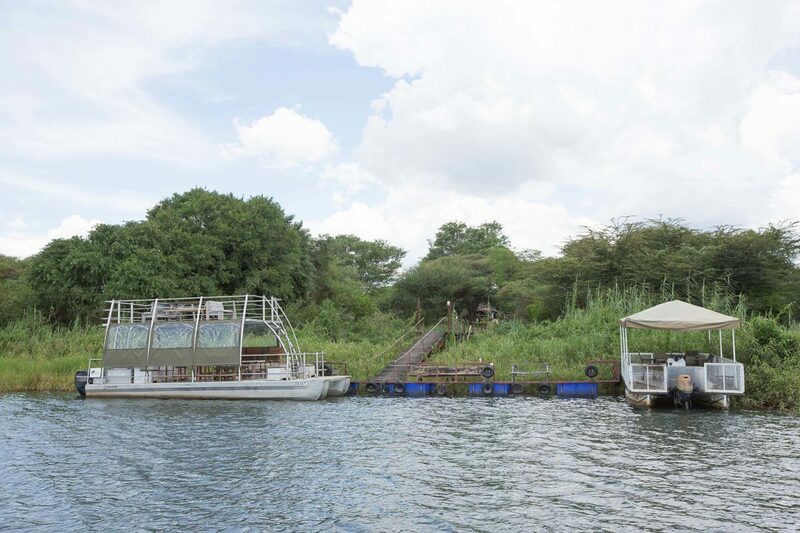 The new jetty may not operate all year if the river gets too shallow though! 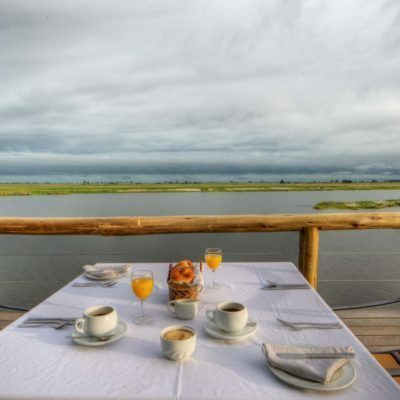 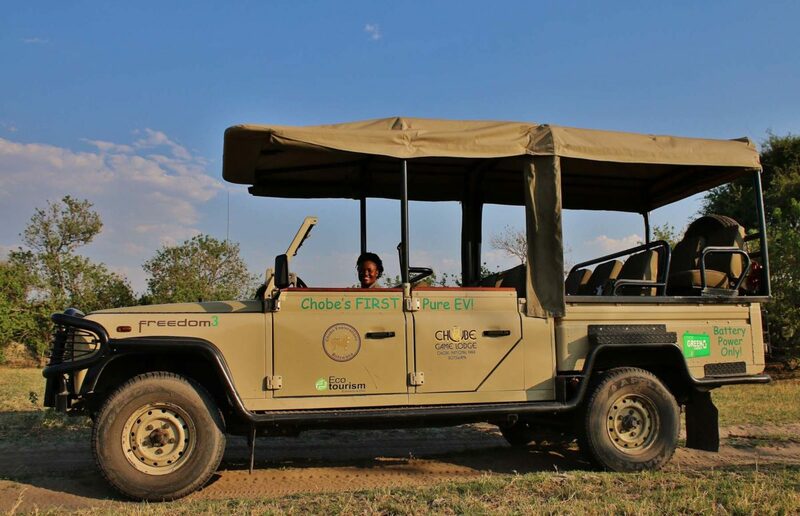 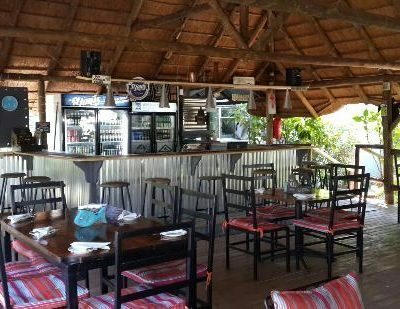 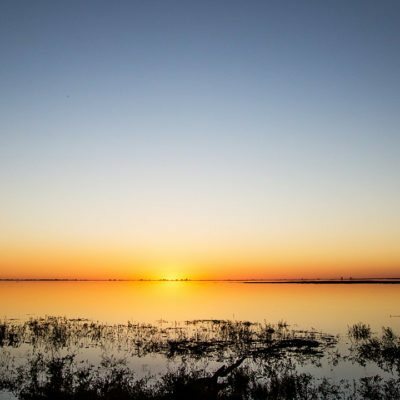 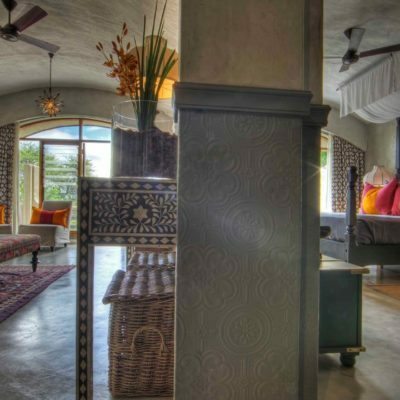 We often recommend this lodge to self-drives as you get good rates if you do your own activities and driving in the Chobe National Park on your own is relatively easy. 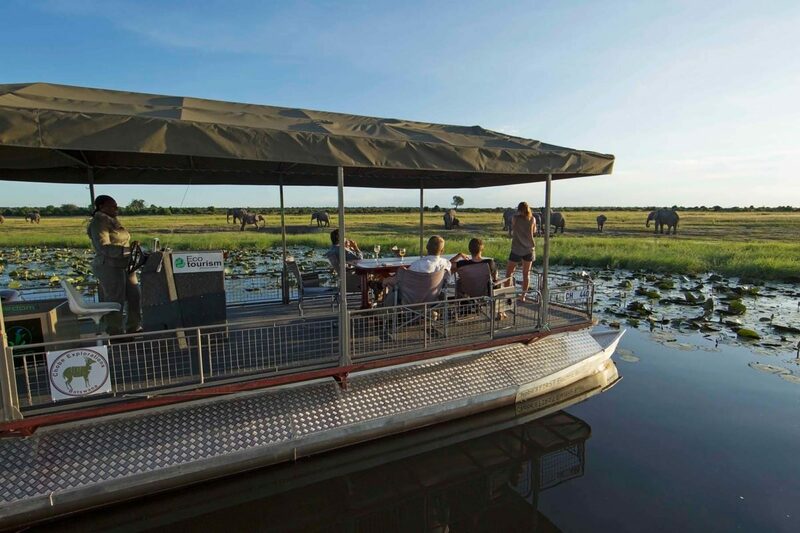 It also works well on our mobile safari itineraries.